JAMES ALDRIDGE was serving as a Private in the 2nd Battalion Oxfordshire & Buckinghamshire Light Infantry when he was killed in action at Richbourg L'Avoue on 10th May 1915. He was aged 19, and he is commemorated on Le Touret Memorial, having no known grave. He was the son, one of nine children, of James and Annie Aldridge of The Green, West Street, Chipping Norton, where his father was a dealer in scrap iron. He enlisted into the Chipping Norton company of the 4th (Territorial) Battalion Oxfordshire & Buckinghamshire Light Infantry before transferring to the 2nd, arriving in France on 7th April 1915. The Battalion were occupying trenches south of the Rue du Bois, near Richbourg when he was killed by a shell, the only casualty on an otherwise relatively quiet day. FREDERICK ALLEN was serving as a Sergeant with the 11th (Service)Battalion, The Royal Warwickshire Regiment when he was killed in action during The Battle of Somme on the 16th July 1916. He was aged 21, his body was never recovered from the field and he is commemorated on the Thiepval Monument. He was the only son of Elizabeth Allen of 18, London Road, Chipping Norton, where he lived with his grandfather and mother and worked as a porter. He enlisted into the Royal Warwicks at the outbreak of war and joined the 1st Battalion in France on 7th April 1915, seeing action in the Second Battle of Ypres. He transferred to the 11th Battalion in July of that year and was promoted Sergeant. On 15th July the Battalion as part of 112 Brigade were ordered to clear the village of Poziere, their part of the operation was to take up tools and assist in consolidating the ground taken by the 8th East Lancs and 6th Beds Battalions. The Brigade advanced 0920 under an intense artillery bombardment. Pozieres was reported thinly defended with no wire to impede progress. However the Brigade was held up by intense machine gun fire and was immobilized. Heavy shelling added to the difficulties and the Battalion took 270 casualties including Sergeant Allen. FREDERICK GEORGE ALLEY was serving as a Corporal in the 2nd/4th Princess Charlotte of Wales's (Royal Berkshire) Regiment when he was missing in action during the German Spring Offensive on 21st March 1918. He was aged 27, his body was not found until 1922 and identified by his badges. He is buried in the Ham British Cemetery in Muille-Villette. He was the son of Charles and May Alley of Spring Street, Chipping Norton. He married Rose Prestidge in the summer of 1917, and they lived at 29, New Street, Chipping Norton. He worked in the offices of Hitchman's Brewery in the town. Rose Alley died in Surrey in 1965 aged 75. He enlisted into the Worcestershire Regiment before transferring to the Royal Berkshires. On 21st March 1918 his Battalion was camped in the village of Ugny in North Eastern France when they received the orders to man battle stations at 0300. This was the beginning of the German Spring Offensive. Bolstered by troops freed up from the Eastern Front by the surrender of Russia, this was an attempt by the Germans to win the war before the Americans arrived in numbers. The Battalion was met by overwhelming numbers of the enemy and heavy machine gun fire and were forced to fall back, suffering heavy casualties. Corporal Alley was reported as missing presumed dead the following day. GEORGE SAUNDERS APPLEYARD was serving as a Corporal in 20th Battalion, Durham Light Infantry when he was killed in action on 25th June 1916. He was aged 23 and is buried in Tancrez Farm Cemetery in Ploegsteert, Belgium. He was the son of William and Kathleen Appleyard who lived in West Kensington, London. His mother had been born Kathleen Saunders in Chipping Norton, and he had a twin brother, George Balfour Appleyard. His father inflicted physical and mental abuse on his mother and she divorced him in 1908. George attended Merchant Taylor's school and later worked for the National Provincial bank. At the time of George's death his mother was living in Hill Lawn, Chipping Norton. His twin brother saw action with The Machine Gun Corps. The 20th Durhams arrived in Le Havre on 5th May 1915. 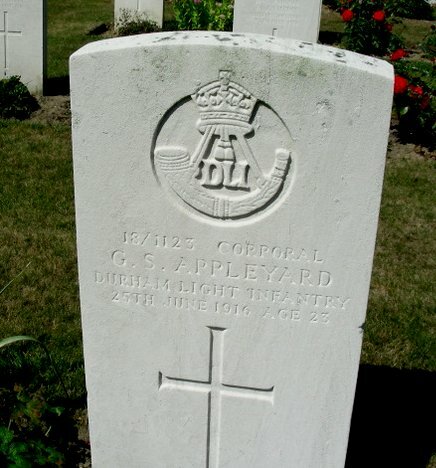 Corporal Appleyard was killed in trenches at Armentieres. GEORGE HENRY ARIES was serving as a Private in "D" company of the 1/4th Battalion of the Oxfordshire and Buckinghamshire Light Infantry when was wounded in action on 19th April 1917 during the Battle of Guillemont Farm. He was taken prisoner by the Germans but died the next day. He was aged 29 and is commemorated on the Thiepval Memorial, having no known grave. He was the son of Charles and Jane Aries of Horsefair, Chipping Norton and brother of Wallace (below). By 1911 he had moved to Tylorstown in the Rhondda Valley where he was lodging with his brother, William Charles Aries, both working as a coal miners. He married Mary Hughes in 1914 and they had one son, Howell, born in 1915. The 1/4 landed in Boulogne on 30th March 1915 and concentrated in the Steenvoorde near the Belgium border. In 1916 they saw action in various phases of the Battle of the Somme. On 19th April 1917 "D" Company were ordered to attack Guillemont Farm, a German stronghold, at 1930. Advancing in two lines they came under withering machine gun fire when they reached top of the ridge. The advance continued and several platoons reached within 150 yards of the farm but were halted by heavy shellfire. 8 men lost their lives whilst Private Aries was serious wounded and taken prisoner by the Germans, dying the following day. WALLACE ALBIN ARIES was serving as a Sergeant in "B" Company, The 11th (Service) Battalion, The Queen's Royal West Surrey Regiment when he died of his wounds on 10th October 1918. He was aged 27 and is buried in Les Baraques Military Cemetery, Sandgatte, France. He and was one of eight children of Charles and Jane Aries of Horsefair, Chipping Norton and before the war had worked as a travelling salesman. He had enlisted into the Chipping Norton company of 4th (Reserve) Battalion, The Oxfordshire and Buckinghamshire Light Infantry, in January 1916 and reached the rank of Corporal. He joined the Royal West Surrey Regiment in France in October 1917, but in early November the Battalion, as part of the 43rd Division, were moved by train to Italy. The Division took over a sector of front line behind the River Piave, north west of Treviso. In February 1918 they were ordered back to France and by 9th March were concentrated at Doullens and Mondicourt on the Somme. He was by now a Sergeant with "B" Company in the Battalion. On 21st March 1918 The Battle of St Quentin was the beginning of the German Spring Offensive. Bolstered by troops freed up from the Eastern Front by the surrender of Russia, this was an attempt by the Germans to win the war before the Americans arrived in numbers. On this day the Battalion moved up to Beugny, where they began digging defensive positions. On 23rd April Sergeant Aries' Company moved up to the front line to reinforce the Royal Welsh Fusiliers. The Germans attacked in overwhelming numbers at 1630 and the British were forced to withdraw. Through March and April they were forced to make a fighting retreat across the Somme crossings to the outskirts of Amiens, where the German advance was held. On 1st May the Battalion moved to positions near Ypres. On 10th June 1918 Sergeant Aries was evacuated from the field with influenza returning to his unit the following day. On 28th September 1918 the offensive known as the Final Advance in Flanders began. On 29th September 1918 his battalion were detailed to attack and secure the Wervicq to Comines railway in Flanders, at 0730. They came under heavy machine gun and shell fire and were forced to fall back. Sergeant Aries was wounded whilst rescuing a wounded officer, his Company Commander, Captain J Hopkinson, from no man's land. The officer concerned asked his mother to send a silver cigarette case to Sergeant Aries inscribed "With heartfelt thanks and in remembrance of that day" but he died of his wounds in a field hospitalon 10th October 1918 before it arrived. DAVID THOMAS BARNARD was serving as Gunner with the 144th Siege Battery, The Royal Garrison Artillery when he died of his wounds on 12th October 1917. aged 33 and is buried at Mont Huon Military cemetery at Le Treport. He was the son of David and Mary Barnard of The Leys, Chipping Norton. He served for three years in the 2nd Volunteer Battalion of the Oxfordshire and Buckinghamshire Light Infantry. In 1909 he married Rosina Prat in Chipping Norton Parish Church. They moved to Peckham in Surrey, where he worked as a furniture salesman, and had two daughters May and Violet. He enlisted into the Royal Garrison Artillery on the 4th December 1915 serving as a Gunner. His family moved back to Chipping Norton at 26, Burford Road. David Barnard was posted to France on the 1st May 1917 and joined the 144th Siege Battery in the field on 8th May. He was wounded in action during the Battle of Polygon Wood, part of the Third Battle of Ypres, by shrapnel in the left thigh and right leg on 3rd October 1917. He taken to the 2nd Canadian General Hospital at Le where his right leg was amputated after gas gangrene had set in. He died on the 12th October 1917. GEORGE HENRY BARNETT was serving as a Private with the 2nd Battalion, The Gloucestershire Regiment when he was killed in action at Salonika on 27th February 1917. 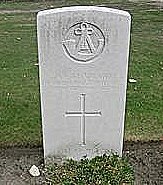 He was aged 34 and is buried in Lambert Road Military Cemetery in Greece. He was the son of Levi and Hannah Barnett having been born in Cornwell. His father died early at 30 of consumption. His mother remarried to George Harrison and moved to 2, Kings Yard in Chipping Norton. Known as Harry in September 1903 he joined the Great Western Railway as a porter. However on the evening of 23rd December 1905 he entered the station and began playing an accordion. When approached by a policeman he made use of threatening and abusive language and was ejected. As he was deemed to have a bad character he was dismissed from the service. He married Eliza Westwood in 1908 and lived in 2,Workman's Row, Bengeworth, Evesham where he worked as a basket maker. They had three sons together. He had enlisted into The Gloucestershires and arrived in France with 2nd Battalion on 12th March 1915, moving to the Salonika theatre in November the same year. During the first four months of 1916 the British Salonika Force had enough spadework to last it for the rest of its life. Large amounts of barbed wire were used and a bastion about eight miles north of the city was created connecting with the Vardar marshes to the west, and the lake defences of Langaza and Beshik to the east, and so to the Gulf of Orfano and the Aegean Sea. This area was known as the 'Birdcage' on account of the quantity of wire used. He is also commemorated on the Bengeworth war memorial. GEORGE WILLIAM BARTLETT was serving as a Corporal with the 2nd/1st Buckinghamshire Battalion, The Oxfordshire and Buckinghamshire Light Infantry when he died of wounds received during The Third Battle of Ypres, on 26th August 1917. He was aged 32 and is buried in Lijssenthoek War Cemetery, Belgium. He was one of ten children of George and Mary Bartlett of Hope Cottages, West Street, Chipping Norton and at 15 was working in the woollen mill. He was married to Martha Bartlett and lived at 55, Brithweunydd Road, Trealaw, Dinas in South Wales. He enlisted into the Ox and Bucks and joined the 2/1 Buckingham Battalion in France. In 1917 the Battalion, as part of the 61st Division, had cautiously pursued the Germans in their strategic retreat to pre-prepared defensive positions on the Hindenburg Line. The Germans had destroyed everything in their path as they pulled back across the old Somme battlefields, leaving booby traps behind. On 16th August 1917 they were involved in the Battle of Langemarck, a phase of the Third Battle of Ypres. On 22nd August the Battalion was part of an attack on German positions in a concrete stronghold near the village of St Julien. The Bucks Battalion managed to secure their objective but were unable to garrison it. 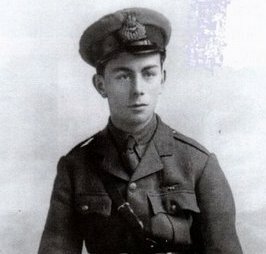 Corporal Bartlett was wounded in the attack and evacuated to a Casualty Clearing Station at Lijssenthoek where he died. FRANK ERNEST BAYLISS was serving as a Private in the Queen's Own Oxfordshire Hussars and was killed in action during the Battle of St Quentin on 21st March 1918. He was aged 28, his body was never recovered and he is commemorated on the Pozieres memorial for soldiers with no known grave. He was the son of Martha Bayliss, in 1895 she married Benjamin Brain. He worked at the Heythrop Hunt kennels in Chipping Norton and lived at 3, Alfred Terrace. 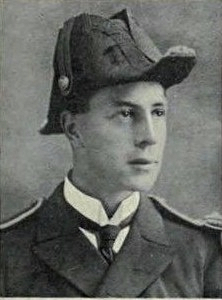 Frank's half brother, Albert Benjamin Brain, was killed in 1917. He joined the QOOH in 1915. As cavalry they spent frustrating periods waiting in readiness to push on through the gap in the enemy's line, which never came. They toiled in working parties bringing up supplies, digging defensive positions, suffering the discomforts of appalling conditions, and frequently dismounting to fight fierce engagements on foot and in the trenches themselves. The Battle of St Quentin was the beginning of the German Spring Offensive. Bolstered by troops freed up from the Eastern Front by the surrender of Russia, this was an attempt by the Germans to win the war before the Americans arrived in numbers. The Battalion was met by overwhelming numbers of the enemy and heavy machine gun fire and were forced to fall back, suffering heavy casualties. Private Bayliss was reported as missing and later presumed dead. 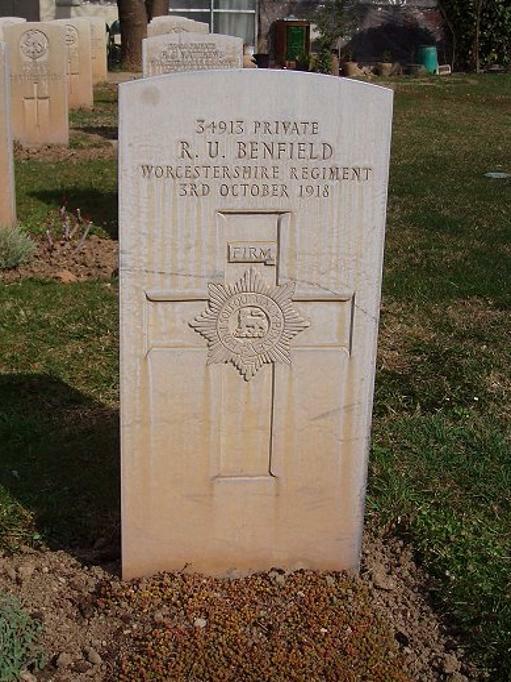 BERNARD CYRIL BENFIELD had served as a Private in 2nd/4th Battalion, The Hampshire Regiment and died of his wounds at home in May 1921. aged 21 and is buried in Chipping Norton Cemetery. He was the son of Charles and Mary Benfield of Over Norton and his brothers Philip and Lionel both died in the War. He had enlisted on 13th February 1918 and joined the 2/4 Hampshires in France after the Battalion had returned from Suez in June 1918. He was wounded in action on 4th November 1918 at the Battle of Sambre, suffering gunshot wounds to the head. He was treated in 3rd New Zealand Field Ambulance, evacuated to hospital on No 9 Ambulance train before being repatriated to England. He was discharged on 25th September 1919 due to his wounds and awarded the Silver Badge, initially given to discharged soldiers to stop them being accused of cowardice. He died of pulmonary tuberculosis at home in Over Norton. Commemorated on Over Norton war memorial but not on the town memorial. LIONEL BENFIELD was serving as a Private in the 2nd Battalion, Princess Charlotte of Wales's (The Royal Berkshire Regiment), when he died of wounds received, on 7th August 1917. He was aged 21 and is buried at St Sever, Rouen, France. He was the son of Charles and Mary Benfield of Eaton Place. He lived in Over Norton and worked as a warper tier-on. He was wounded during the Battle of Pilkhem Ridge, an opening phase of the Third Battle of Ypres and died in hospital in Rouen. He is also commemorated on the Over Norton war memorial. PHILLIP CHARLES BENFIELD was serving as a Private in the 6th (Service) Battalion Oxfordshire and Buckinghamshire Light Infantry when he was killed in action during the Battle of the Somme on 7th October 1916. He was aged 27, his body was never recovered from the field, he is commemorated on the Thiepval Memorial. He was the son of Charles Benfield and brother of Bernard and Lionel (above) he lived in Over Norton and worked as a road mender. He enlisted into the Queen's Own Oxfordshire Hussars in December 1914, later transferring to the 6th Ox & Bucks, arriving with them in France in June 1915, under orders of 60th Brigade in 20th (Light) Division. They saw action on the Somme in the Battle of Deville Wood between 15th July and 3rd September 1916 and the Battle of Guillemont between 3rd and 6th September. They then took part in the Battle of Flers-Courcelette between 15th and 22nd September and the Battle of Morval from 25th to 28th September. He was killed in action during The Battle of Le Transloy, between 1st and 18th October 1916, a period of fighting in terrible weather in which the heavy, clinging, chalky Somme mud and the freezing, flooded battlefield became as formidable an enemy as the Germans. The British gradually pressed forward, still fighting against numerous counter-attacks, in an effort to have the front line on higher ground. RALPH URBAN BENFIELD was serving as a Private with the 9th (Service) Battalion, The Worcestershire Regiment when he died of pnuemonia and influenza on the 3rd October 1918. He was aged 27 and is buried in Tehran War Cemetery in Iran. He was the son of Charles and Adelaide Benfield of 7, Primrose Court, West Street, Chipping Norton and worked as a gardener. The 9th Battalion was formed at Worcester in August 1914 and came under orders of 39th Brigade in 13th (Western) Division. They sailed from Avonmouth in June 1915 and landed on Gallipoli next month. In January 1916 they were evacuated from Gallipoli and moved to Egypt. In July 1918 the Brigade transferred to North Persia Force. RICHARD HUGH BERRY was serving as a Private in the 22nd (Service) Battalion, The Royal Fusiliers when he died of illness on 13th April 1916. He was aged 30 and is buried in Le Treport Cemetery. He was the son of Richard and Caroline Berry, farmers in Great Rollright and had worked as a relieving officer of The Registrar of Births and Deaths for Chipping Norton. In January 1915 he married Nellie Hook from Hook Norton, at Hackney registry office. After his enlistment his wife lived at The Bungalow in Hook Norton. He enlisted on 16th September 1914 in Shepherds Bush, London. He arrived in France on 16th November 1915, but on 8th April 1916 contracted scarlet fever. He was taken from the front to No 100 Field Ambulance, then to 23rd Casualty Clearing Station and then by No 12 Ambulance Train to the 16th General Hospital in Le Treport near Dieppe, arriving on 13th April. Complications set in and he died of acute ulcerative gastritis the following day. After his death his widow was awarded a 10 shilling a week pension. He is also commemorated on the Great Rollright war memorial. ALBERT EDWARD BETTERIDGE was serving as a Private with the 1st Battalion, The Princess Charlotte's of Wales, The Royal Berkshire Regiment when he was killed in action on 10th March 1917. He was aged 19, and he is commemorated on the Thiepval Memorial, having no known grave. He was the son of Joseph and Amelia Betteridge having been born in Over Norton. His mother moved to 2, White House Lane, Chipping Norton, after his father's death. On 10th March 1917 the Battalion were manning the front line near Irles in the Somme. At 0515, in conjunction with 1st King's Royal Rifle Corps, they launched an attack on Greyvillers Trench. The trench was captured immediately, 100 prisoners taken and a new assembly trench dug for a future attack. 11 men were killed including Private Betteridge. He was the brother of Ernest Betteridge, below. ERNEST BETTERIDGE was serving as a Gunner with the 118th Battery, The Royal Field Artillery when he died on 23rd December 1918. He was aged 37 and is buried in Mikra British Cemetery, Kalamaria, Greece. He was born in Little Tew to parents Joseph and Amelia, his mother moved to Chipping Norton after the death of her husband, and was the brother of Albert, above. He married Amelia West in Newport Pagnell in 1907 and lived there, working as a general labourer. They had two daughters Winifred and Gladys and a son who died at birth. He had enlisted into the RFA in June 1917 and joined the 118th Battery in Salonika in November 1918. He had been admitted to the No 21 Stationary Hospital on suffering from an unknown pyrexia on 19th August 1918, which was diagnosed as malaria. He died of pneumonia in the 2/3rd Northumberland Field Ambulance. HARRY BETTERIDGE was serving as an acting Corporal with the 1st Battalion, The Hampshire Regiment when he was killed in action during the Battle of Arras on 12th May 1917. He was aged 35 and is commemorated on the Arras Memorial for soldiers with no known grave. He was the son of Henry and Mary Betteridge, of 14, Rock Hill, Chipping Norton. In 1904 he married Eva Hodges in Kensington, and in 1911 they were living in Grange Lodge, Wykham Lane, Broughton with their sons William and Frederick and two daughters Eva and Beatrice. He worked as a domestic butler at Broughton Castle. On 11th May 1917 the Battalion, as part of 11th Brigade, attacked German trenches in front of their positions, advancing with little resistance. At 0630 they advanced again, in the face of heavy shelling, meeting the objectives laid out in Brigade orders. 4 men where killed by the shelling, including Corporal Betteridge. WILLIAM ALBERT BETTERIDGE was serving as a Gunner in The Royal Garrison Artillery, 132nd Heavy Battery when he was killed in action, during the Third Battle of Ypres, on 29th October 1917. He was aged 35 and is buried in The Huts Cemetery near Ieper, Belgium. He was the son of John and Martha Betteridge, having been born in Chadlington. He married Charlotte Hitchcox in 1905 had four children, Dorothy, Edith, Frederick and Sarah, between 1908 and 1913. He worked as a shepherd at Downy Hollow on the Burford Road near Churchill. After enlistment his family moved to 8, Lodge Terrace in Chipping Norton. He joined the Territorial 132nd Oxford Heavy Battery, which arrived in France in March 1916 and took part in the Battle of the Somme. He was killed during the Second Battle of Passchendaele, a phase of the Third Battle of Ypres. Charlotte Betteridge died in Sussex in 1959 aged 85. ERNEST ARTHUR BICKERSTAFF was serving as a Private with 8th Forward Butchery Unit, The Army Service Corps when he died on 17th June 1916. He was aged 19 and is buried in Chipping Norton Cemetery. He was the son of Annie Bickerstaff, having been born in Luton, and prior to the war was living with his grandfather at 60, Rock Hill, Chipping Norton. He contracted tubercular peritonitis and pleurisy and died in the County of London Hospital in Epsom. FRANK GEORGE BOLTER served as a Private with the 26th(Service) Tyneside Irish Battalion, The Northumberland Fusiliers, and died of his wounds in 102nd Field Ambulance on 7th April 1917. He was aged 19 and he is buried at Azin-St Aubin, Pas de Calais. He was the son of Alfred and Salome Bolter of 8, Diston's Lane, Chipping Norton and had worked as a printers boy. The 26th Battalion had landed in France on January 1916 as part of 103rd Brigade, 34th Division, and saw action at the Battle of Albert, the opening phase of the Battle of the Somme. In 1917 they had pursued the Germans as they withdrew to previously prepared defences on the Hindenburg Line and Private Bolter was wounded in action at this time. LINDSAY PERCIVAL BOND was serving as a Private with the 1/7th Battalion, The Worcester Regiment when he was killed in action on 16th August 1917 during the Battle of Langemarck, part of the Third Battle of Ypres. He was aged 22 and is commemorated on the Tyne Cot Memorial in Flanders for soldiers with no known grave. He was the son of Christopher and Ada Bond of 1 Pembridge Terrace, Chipping Norton. Prior to enlisting he was living in Salford with his grandfather and worked as a yarn sorter at a tweed mill. He had formerly served with the Norfolk Regiment. He was killed as his Battalion launched an attack on German lines near the Steenbeek river in Belgium, one of 21 of his battalion killed that day. ALBERT BENJAMIN BRAIN was serving as an Acting Sergeant in the 12th Battalion, The Rifle Brigade when he died of his wounds on 20th April 1916. He was aged 22 and is buried in Lijssenthoek Military Cemetery in Belgium. He was the son of Benjamin and Martha Brain of 3, Alfred Terrace, Chipping Norton, having been born in Islington, London. He had three brothers and two sisters and Frank Bayliss was his half-brother. He worked as a factory operative when he enlisted into the Rifle Brigade in Birmingham. He arrived with the 12th Battalion in France in July 1915, as part of the 20th (Light) Division. In 1916 they were involved in the capture of Mount Sorrel and then went on to fight in several phases of the Somme Offensive. Starting with the Battle of Delville Wood between 15th July and 14th September 1916 and then onto the Battles of Guillemont, Fleurs-Courcelette, Morval and Le Transloy, finishing on 11th November. In the Spring of 1917 they cautiously pursued the Germans as they made a strategic withdrawal to pre-prepared positions on the Hindenburg Line. The Germans left a trail of destruction as they retreated and left numerous booby traps behind. Acting Sergeant Brain was wounded in action at this time. JOHN WILLIAM BRIDGES was serving as a Private with 2nd/4th Battalion Oxfordshire and Buckinghamshire Light Infantry when he died on 4th January 1916. He was aged 40 and is buried in Eastbourne (Ocklynge) Cemetery. He was the son of Caleb and Sarah Bridges of Great Rollright working as a farm labourer. He married Annie Woodcock in January 1903 in Chipping Norton. They had six children and lived in Great Rollright where he now worked as a cowman. He enlisted into the 2/4th Battalion in Oxford in February 1915. After he enlisted his family moved to 5, Burford Terrace, Chipping Norton. In March 1915 the Battalion were based in Essex, responsible for 14 miles of coastal defences. Private Bridges was taken ill with pneumonia and admitted to the Eastbourne General Hospital where he died. Annie Bridges died in Enstone in 1943 aged 60. He is commemorated on the Great Rollright war memorial and on the Eastbourne Central Military hospital war memorial but not on the town memorial. WILLIAM JESSE BRYAN was serving as a Corporal in the 4th Battalion, The Worcestershire Regiment when he was killed in action in Gallipoli on 4th June 1915. He was aged 31 and is commemorated on the Helles Memorial, having no known grave. He was the son of Benjamin and Elizabeth Bryan, having been born in Steeple Aston. At the age of 16 he was working as a domestic servant in Oxford. In 1910 he joined the Army as a Private with the 2nd Battalion, The East Surrey Regiment and served in Burma. It is not known whether he left the Army or transferred to the reserves, but on the outbreak of war he enlisted into the Worcestershire Regiment in Warwick. 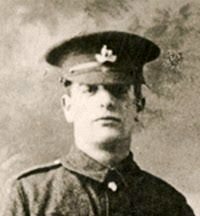 William Bryan joined the 4th Battalion and was based in Leamington Spa. He married Edith Margaret Haynes, a Chipping Norton girl whom he had met while she was in service in Steeple Aston, in Leamington Spa in February 1915. On 21st March 1915 The Battalion sailed from Avonmouth for Gallipoli, going via Egypt. They landed on "W" beach at Cape Helles on 25th April 1915, one company landed on the original landing "V" beach, the intended disembarkation point, but being cut down by fierce machine gun fire. The Battalion went immediately into action against Turkish positions on Hill 138. After a hard fight they pushed the Turks out and took their trenches, thus relieving pressure on "V" beach. The chances of a swift victory on the peninsula faded with the arrival of Turkish reinforcements and the fighting on Helles became a battle of attrition. On 4th June 1915 an assault was made towards Krithia and Achi Baba, in the Third Battle of Krithia in an attempt to break out of the stalemate. The attack was repulsed and Corporal Bryan was one of 4,500 British casualties that day, his body not being recovered from the field. Edith Bryan returned to Chipping Norton, living at 24, Rock Hill. She did not re-marry and died in the town in March 1937 aged 56. William Bryan is not on the town war memorial but is on Steeple Aston's. He is also remembered on his wife's grave in Chipping Norton cemetery and as part of our commemorations we are looking to restore this in honour of them both. EDWIN BURBIDGE was serving as a Private with the 53rd (Young Soldier) Battalion of the Royal Warwickshire Regiment which at that time was based at Larkhill Garrison on Salisbury Plain. He died on the 7th October 1918 aged 18 from influenza and heart failure in Fargo Military Hospital, Amesbury, Wiltshire, after only six weeks in the Army. The Young Soldier units carried out the 14 week basic training course, after which the soldier would be passed on to a Graduated Battalion. Fargo Military hospital was part of Larkhill Garrison and had 1200 beds. He is buried in Chipping Norton Cemetery. One of nine children of William and Emily Burbidge of 7, Market Street, Chipping Norton. His older brother, Fred, served in The Royal Naval Air Service. He had a book of poetry called "Simple Verses" published posthumously in 1919. His work shows a sensitivity and compassion beyond his years. And safely guard our Isle as well. The loving wife, the mother kind? When from their men they have to part? The women, too, have shown their grit. The men who to their hearts are dear. Do they not have a load to bear? Do they not have their share of care? And from their tears and sighs refrain. And do their best, pain to relieve. For ones they hoped to see again? Who’ll mend the broken hearts again? When life to her a burden seems. And find that there is comfort there? To bless the women left behind. JOHN BURDEN was serving as a Rifleman with the 1st/5th (City of London) Battalion (London Rifle Brigade), The London Regiment when he was killed in action on 9th October 1916 during the Battle of the Somme. He was aged 30 and is commemorated on the Thiepval Monument for soldiers with no known grave. He was born in Chipping Norton to parents Thomas and Sarah, of 1, Rock Hill, one of eight children. At the time of his enlistment was boarding in Upper Clapton, London where he worked as a timber merchant's clerk. He joined the 5th Battalion in December 1915, joining them in France in June 1915, as part of the 169th Brigade in the 56th (London) Division. They saw action on the first day of the Battle of the Somme on 1st July 1916, taking part in a diversionary attack on Gommecourt. On 9th September they fought in the Battle of Ginchy and the Battle of Flers-Courcelette between 15th and 22nd September and the Battle of Morval 25th to 28th September. He was killed in action during The Battle of Le Transloy, between 1st and 18th October 1916, a period of fighting in terrible weather in which the heavy, clinging, chalky Somme mud and the freezing, flooded battlefield became as formidable an enemy as the Germans. The British gradually pressed forward, still fighting against numerous counter-attacks, in an effort to have the front line on higher ground. FREDERICK THOMAS CLARKE was serving as a Private in the "D" Company 2nd/1st (City of London) Battalion, The London Regiment (Royal Fusiliers) when he died of wounds received on 29th December 1917. He was aged 20 and is buried in Mendinghem Military Cemetery, Belgium. He was the son, one of five children of Herbert William and Mary Caroline Clarke, of Laburnum Cottage, Over Norton. He joined the London Regiment in March 1916. On 19th December 1917 he was in the trenches near Arleux when the Germans hit his position with gas shells. He died in the 46th Casualty Clearing Station 10 days later. GEORGE COX No further information has come to light regarding this man. 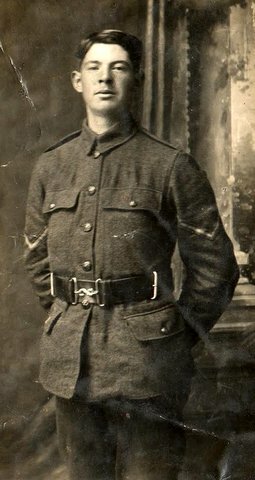 VICTOR CHARLES DAWE was serving as a Private in the 18th Battalion, (Western Ontario Regiment) Machine Gun Company, The Canadian Infantry when he died of wounds received during the Battle of Mount Sorrell on 22nd June 1916. He was aged 25 and is buried in Lijssenthoek Military Cemetery. He was the son of Henry and Druscilla Dawe of Bay Roberts, Newfoundland, one of eight sisters and two brothers. Before enlisting had been a member of the Church Brigade and worked as a teacher. His sister, Belle, had married the Reverend Ernest Weight, an Anglican priest and Victor stayed with them in Chipping Norton when on leave from the front. He enlisted on 17th February 1915 in Windsor Ontario and arrived with the Canadian Expeditionary Force in England aboard RMS Grampian on 29th April 1915. On the night of 21st/22nd June 1916, Private Dawe accompanied by a Private Kemp undertook a reconnaissance of the enemy wire opposite their trenches. While returning they were discovered and fired on by rifles and grenades from the enemy front line. Both men were wounded, Private Dawe by a bullet in the head, and he later died at No. 3 Canadian Casualty Clearing Station. ALFRED CHARLES DAWES was serving as a Private in the 6th(Service)Battalion, The Northamptonshire Regiment when he died of wounds received on 2nd August 1918. He was aged 30 and is buried in Vignacourt British Cemetery in the Somme. He was born in Chipping Norton to parents Alfred and Elizabeth Dawes, one of eight children. His mother died in 1897 and his father remarried and moved to Watford, where Alfred worked as a platten minder in the printing trade. The 6th Battalion had arrived in France on 26th July 1915 as part of the 18th (Eastern) Division. They had seen action in phases of the Battle of the Somme in 1916 and the Third battle of Ypres in 1917. They also fought against the German Spring Offensive of 1918, during which Private Dawes was wounded. His younger brother, below, had died earlier that year. MORRIS DAWES was serving as a 2nd Lieutenant with 10th (Service) Battalion, The Essex Battalion when he was killed in action on 26th April 1918. He was aged 24 and is commemorated on the Pozieres Memorial on the Somme. He was the younger brother of Alfred, above, and had enlisted into the Reserve Regiment of Cavalry at the outbreak of war in August 1914. He was posted to France on 18th October 1915, joining the 9th Lancers. He was wounded and evacuated home, returning to serve with the Queen’s Royal West Surrey Regiment. On 30th October 1917 he was commissioned in the field to 2nd Lieutenant and attached to the 1oth Essex, seeing action in the Second Battle of Passchendaele. He then fought against the German spring Offensive of 1918, when a German attack overrun 40 miles of hard won territory, before being halted at Amiens. He was reported missing during a German assault on Amiens, Second Battle of Villers-Bretonneux on 25th April and presumed dead the following day. ALBERT WILLIAM EDGINTON was serving as an acting Corporal in 12th Veterinary Hospital Royal Army Veterinary Corps, 12th Veterinary Hospital when he died of sickness on 26th March 1917. He was aged 33 and is buried in Etaples Military Cemetery. He was born in Hampstead, London and married Ann Selina Loveridge in Witney in 1909. He lived in Thrupp near Faringdon where he worked as a farm labourer. After his enlistment his wife and young son, Albert moved to 19 Middle Row, Chipping Norton. After Albert's death Ann married Joseph Barrett of the town in 1919. They had one son Cyril Ernest Barrett who died in August 1942 during the Dieppe raid. Albert Edginton is not on the town war memorial but he is commemorated on a monument in Chipping Norton cemetery. ALFRED EELES was serving as a Rifleman with the 1/12th (County of London) Battalion (The Rangers), The London Regiment when he was killed in action on 20th April 1917, during the Arras offensive. He was aged 33 and is commemorated on the Arras Memorial for soldiers with no known grave. He was the son of John and Mary Eeles of 38, West Street, Chipping Norton. He married Sarah Peverill in Battersea in 1911 and was living there with his children Millicent and Alfred and working as a barman. A third child Fred was born in the winter of 1916. He enlisted on 10th December 1915 into the 3/10 Territorial Battalion of The London Regiment. He was embodied from the reserves on the 4th August 1916 and arrived in Le Havre on 12th January 1917, joining the 1/12 in the field on 19th February. They took part in several actions that made up the Battle of the Somme. They pursued the Germans in retreat to the Hindenburg Line and then the First Battle of Scarpe, between 9th and 14th April 1917, during the Arrras Offensive. Rifleman Eeles was killed when his transport column was shelled as they left the front line. WILLIAM PARK FIDDES was serving as a Stoker 1st class with the Royal Navy aboard HMS Raccoon when he was lost at sea on 9th January 1918 aged 23. He is commemorated on the Chatham Naval Memorial for sailors with no known grave. He was the son of William and Jeannie Fides of 56, New Street, Chipping Norton and before enlisting worked as a factory hand. He enlisted into the Royal Navy on 11th March 1915 and trained at HMS Pembroke shore establishment in Chatham. On the 20th July 1915 he joined the crew of HMS Duncan, a pre-Dreadnought battleship, as a Stoker 2nd class. She was assigned to the 9th Cruiser Squadron on the Finisterre-Azores-Madeira Station. In late 1915, she returned once again to the Mediterranean, conducting operations in support of the Italian Navy and then against Greek royalists. From 1917, she spent the remainder of the war in England waters as a reserve ship. William Fiddes was appointed Stoker 1st class in that year and after a spell at HMS Pembroke he joined HMS Racoon in October 1917. HMS Racoon was a Beagle class, three funnelled coal burning destroyer displacing some 950 tons. She was built and launched from the Cammell Laird shipyard in 1910. Armaments included one 4" Primary and three 12 lb secondary guns plus two 18" centreline torpedo tubes with four torpedoes. Her official crew complement was 96 but at the time of her loss she was carrying 91 seamen under the command of Lt. George Napier. During the early hours of January 9th, 1918 she was en route from Liverpool to Lough Swilly to take up anti-submarine and convoy duties in the Northern Approaches, in heavy sea conditions and while experiencing snow blizzards she struck rocks at the Garvan Isles and sank with the loss of all hands. 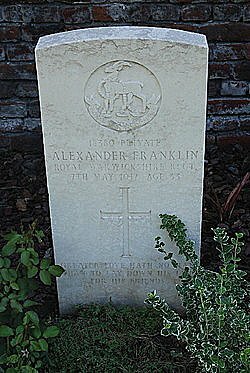 ALEXANDER FRANKLIN was serving as a Private in the 1st Battalion, The Royal Warwickshire Regiment and died of his wounds while a German POW, on 7th May 1917. He was aged 33 and is buried in Charleroi Communal Cemetery in Belgium. He was the son of Robert and Sarah Franklin, of having been born in Chipping Norton before moving to Shipston-under-Wychwood. He returned to Chipping Norton, lodging in New Street and working as a brewery clerk. In 1911 he was living at the Crown in Shipton-under-Wychwood which was being run by his widowed mother. He enlisted into the RWR in April 1916 at Chipping Norton and joined the 11th (Service) Battalion in France in July that year. He was in action during the Somme Offensive and wounded by shrapnel in the chest on 1st August 1916. He was evacuated to hospital on the No 16 Ambulance Train. After recovery he was posted to the 1st Battalion, seeing action in the First Battle of Scarpe in April 1917. He was taken prisoner after being wounded during the Third Battle of Scarpe, part of the Battle of Arras, on 4th May 1917, dying in the Belgium town of Charleroi. He is also commemorated on the Shipton-under-Wychwood war memorial. HARRY CRESWICK FRANKLIN (known as Creswick) was serving as a Private in the 2nd/4th Battalion Oxfordshire and Buckinghamshire Light Infantry, attached to the 184th Light Trench Mortar Brigade, and died of wounds received on 6th April 1917. He was aged 19 and is buried in Vermand Communal Cemetery, Aisne, France. He was the son of John and Louisa Franklin of 23, Middle Row, Market Street, Chipping Norton. Enlisting originally into the 4th Territorial Battalion of the Ox and Bucks in 1915, the was sent to France with the 2/4s on 24th May 1916. They saw action at the Battle of Fromelles, a subsidiary action of The Somme, in 1916. Good Friday, 4th April 1917 found the Battalion manning the front line near St Quentin. It snowed all day and conditions were wretched in the shallow trenches. To make matters worse an assault, by the 59th Division on the Battalion's left, brought down German shell fire on their positions. One man was killed and two wounded, including Private Franklin, who died two days later. FRANK OLIVER FREEMAN was serving as an Aircraftman 2nd Class with 47 Squadron Royal Air Force when he died of thyphus on the 27th December 1919. He was aged 20 and is buried in Sevastopol British Cemetery and commemorated on the Haidar Pasha Memorial in Turkey. He was the son of John and Agnes Freeman of 8 Middle Row, Chipping Norton. His father was a Hairdresser, Tobacconist & Umbrella Maker. 47 Squadron was formed at Beverley, Yorkshire on 1st March 1916 as a Home Defence squadron equipped with BE2s, BE12s and FK3s. Some six months later, however, the unit was transferred for duty in Salonika with Allied Forces fighting the Bulgarians in Northern Greece. During 1917, the Squadron started to concentrate on bombing and reconnaissance and remained in Greece after the Armistice. In April 1919, the Squadron was dispatched to Southern Russia to help General Denikin's White Russian forces defeat the Bolshevik armies. The Squadron was disbanded in October 1919, when it was absorbed into the Russian Army. AC2 Frank Oliver Freeman was one of the 176 other ranks who disembarked Novorossisk, South Russia on the 9th July 1919. Following disembarkation each and every one was paraded ashore for roll call and within no time at all were marched to a string of cattle trucks which were waiting to take them to the town of Ekaterinodar It took almost 2 days to reach the HQ aerodrome . AC2 Freeman's RAF trade was that of a General Clerk. He served with the squadron's "A" Flight on the Volga front. By December "HQ" and "A" Flights (which had been conjoined by this time) and "Z" Flight were maintaining a fighting retreat and forced to move south and east to cross the Don into Kuban country. They arrived at Krinichnaya on Christmas Eve during a blinding blizzard. On the 27th AC2 Freeman died of typhus. WALLACE GARDNER was serving as a Private with "A" Company, The 5th(Service) Battalion Oxfordshire & Buckinghamshire Light Infantry when he was killed in action during the Battle of Neuve Chapelle on 9th April 1917. He was aged 20 and he is buried in Tilloy British Cemetery. He was the son of Robert and Mary Ann Gardner of 24, Guildhall Place, Chipping Norton, having been born in Perth, Scotland. He had worked as a bootmaker before enlisting. The 5th Ox and Bucks arrived in France on 21st May 1915 as part of the 42nd Brigade in 14th (Light) Division. They saw action at The Battle of Delville Wood and the Battle of Flers-Courcelette, part of the Somme in 1916. They cautiously pursued the Germans as they retreated to the Hindenburg Line in 1917. As part of the Arras Offensive the Battalion was assigned to assault the Telegraph Redoubt on Telegraph Hill, south of Arras. The attack began at 0730 on 9th April 1917, the objective was taken and consolidated with the loss of 13 men from the 5ths, including Private Gardner. He was originally buried in Maison Rouge Cemetery in Tilloy, but moved after the Armistice. GEORGE EDWARD GEE was serving as a Private with the 1st/25th (County of London) Battalion (Cyclists),The London Regiment when he died of wounds received on 10th August 1917 whilst serving on the North-West Frontier. He was aged 20 and is buried in Rawalpindi War Cemetery. He was the son of John and Ada Gee of 4, Albion Street, Chipping Norton, having been born in St Pancras, London, the eldest of four children. He enlisted into the London Regiment in January 1915 in Fulham. The London Cyclist Battalion patrolled the coast of England to watch for a German invasion. After air attacks began in May 1915,they were based in the Grand Hotel in Lowestoft, bicyclists with signs "Take Cover" warned citizens to find shelter. On 3rd February 1916 they sailed from Devonport on the Troopship "Ceramic" arriving in Bombay on 25th February, then on to Bangalore. On December 16th that year they undertook a 2, 200 mile train journey from Bangalore to Burhan in Uttar Pradesh. Between 4th March and 15 April the battalion served as part of the North Waziristan Field Force. In May 1917 the battalion was dispatched to Tank, a frontier station on the North-West frontier to quell an uprising by the Mahsuds, the inhabitants of Warizistan. During this campaign Private Gee was mortally wounded. ROBY GIBBS was serving as a Lance-Corporal in the Queen's Own Oxfordshire Hussars when he died of accidental injuries on 5th June 1915. He was aged 31 and is buried in Le Grand Hansard Military cemetery in Morbecque, Northern France. He was one of nine children of Joseph and Emma Gibbs of 7, The Leys, Chipping Norton. He worked as a journeyman butcher before becoming an under-butler for Sir Ernest Cassel, a wealthy banker, at Brook House, Park Lane in London. He enlisted into the QOOH in September 1914. After only a month's training, the regiment received an unexpected telegram. It came from the First Lord of the Admiralty,Winston Churchill, who had served with the QOOH, instructing them to prepare for immediate embarkation. They were to join the Naval Brigade which he was sending to Flanders to prevent a German advance towards the Channel ports.They arrived in France on 12th October 1914, Roby Gibbs joining them on 24th November, and became the first Territorial unit to see action. As cavalry they spent frustrating periods waiting in readiness to push on through the gap in the enemy's line, which never came. They toiled in working parties bringing up supplies, digging defensive positions, suffering the discomforts of appalling conditions, and frequently dismounting to fight fierce engagements on foot and in the trenches themselves. THOMAS CHARLES GIBBS (MILITARY CROSS) was serving as a Lieutenant with the 1st/7th Battalion, (attached to the 9th Battalion), The Cheshire Regiment when he was killed in action on the 31st May 1918. He was aged 38 and is commemorated on the Soissons Memorial for soldiers with no known grave. He was born in Clapham, London but was brought up by his Aunt Harriet who ran a shop in Rock Hill. He had been a tutor at Heidelberg University prior to the war. He married Marjorie Brooke in the summer of 1913 and lived at Upton Grange near Macclesfield. They had two sons Peter and John, the eldest, Peter, was killed in World War Two whilst serving with as a Second Lieutenant in the Hampshire Regiment in 1944.
" For conspicuous gallantry and devotion to duty as battalion intelligence officer. He continually visited the battalion frontage and the units on the flanks, obtaining information and carrying the CO's orders. Later with the CO he rallied the men and led them forward, in spite of a heavy fire of shrapnel shell and machine guns. He set a fine example of courage and energy throughout"
By the time the announcement of his medal was printed in "The London Gazette" in September 1918 he had been killed in action. WILLIAM GILES was serving as a Private in the 2nd Battalion, The Oxfordshire & Buckinghamshire Light Infantry when he was killed in action on 11th August 1916 during the Battle of Delville Wood, part of the Somme Offensive. He was aged 22 and is commemorated on the Thiepval Memorial for soldiers with no known grave. He was the son of William and Rose Giles, innkeepers of 1, Market Place, Chipping Norton, having been born in Swerford. He married Ethel Betteridge in 1914 and they lived at 13, Rock Hill, Chipping Norton with their children Ronald and Annie, born in 1914 and 1915 respectively. Ethel lost her brother, Albert, to the war in March 1917. 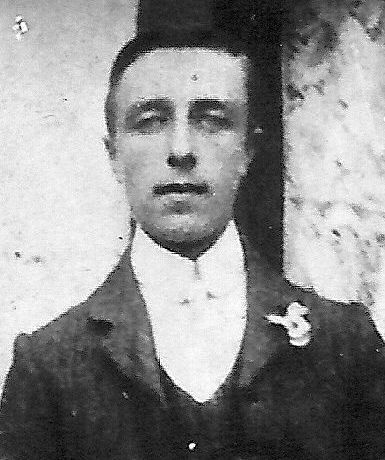 Private Giles was reported missing after an attack on Guillemont Farm on 8th August and presumed dead three days later. FREDERICK JAMES GOODMAN was serving as a Private with "D" Company, The 6th(Service) Battalion, The Oxfordshire & Buckinghamshire Light Infantry when he was killed in action on 3rd September 1916 during the Battle of Guillemont, part of the Somme Offensive. He was aged 38 and is commemorated on the Thiepval memorial for soldiers with no known grave. He was the son of William and Esther Goodman of Back Lane, Chipping Norton, one of eight children. In 1901 he was lodging in Thame where he worked as a ropemaker. He married Ellen Cartar White, a widow, of Thame in 1903. He lived in Summertown, Oxford with his two children, Charles and Ivy, and stepson Henry and worked as a tent maker. The 6th Battalion was formed in Oxford in September 1914, one of Kitchener's "new armies" On 22 July 1915 the Battalion landed at Boulogne as part of the 60th Brigade in 20th (Light) Division. Their first action was at the Battle of Mount Sorrel, 2nd-13th June 1916, where they fought along side the Canadians to recapture a hill with excellent views across the Ypres Salient. On 3rd September 1916 the Battalion were part of an attack on the village of Guillemont. They advanced from their trenches at 1200, following other Battalions, who had secured the first objective, a sunken road. The Ox & Bucks pushed through this to take the next sunken road, losing most of it's officers in the process and Private Goodman. The village was eventually taken 3 days later. CHARLES HENRY GROVES was serving as a Sergeant in the 4th Battalion, The Duke of Cambridge's Own (Middlesex Regiment) when he was killed in action on 20th October 1914 during the Battle of La Bassee. He was aged 36 and is commemorated on Le Touret Memorial for soldiers with no known grave. He was the son, one of four children of Henry and Harriet Groves of 64, New Street, Chipping Norton. living at the The Cottage, Upper Dargle Road, Bray, Co. Wicklow. He joined the 1st Battalion, The Middlesex Regiment in Hounslow in January 1901 for 7 years in the Colours and 5 in the Reserve, having previously worked as a baker and having served in the militia. He served in Ireland then in India from 23rd October 1901 and was promoted to Corporal on 28th March 1905. He elected to serve a full 12 years in the Colours and on 28th February 1911 he married Hannah Mary Breen in Allahbad. He was promoted to Sergeant in April 1911, and had a son born in November that year. On 5th March 1913 he left the Army and went to live at The Cottage, Upper Dargle Road, Bray, Co. Wicklow. On the outbreak of war he re-enlisted into the Middlesex Regiment in Enniscorthy in Ireland. He joined the 4th Battalion in France on 31st August 1914. As part of the 8th Brigade in the Third Division, they saw action in the Battle of Mons and the ensuing retreat, the Battle of Le Cateau and the Battle the of Marne, 7th-10th September, which halted the German advance into France. Between 12th and 15th September they counter attacked at the Battle of the Aisne, but were held back and trench warfare began. The Battle of La Bassée began on 10th October 1914 as each side tried to outflank the other. On 20th October the Battalion were billeted and occupying trenches in front of the village of Le Riez when they were hit by German shelling. 14 men were killed including Sergeant Groves. 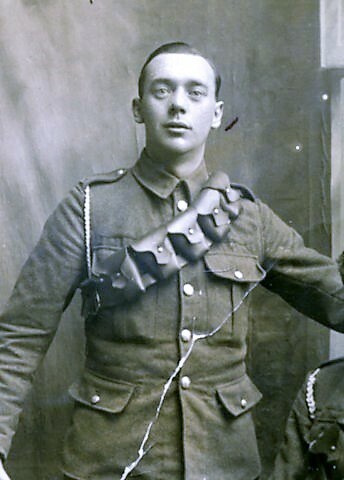 ALBERT ERNEST JESSE HADLAND was serving as a Private with the 6th(Service) Battalion, Oxfordshire & Buckinghamshire Light Infantry when he was killed in action on 5th March 1916. He was aged 20 and is buried in Essex Farm Cemetery, Ypres, Belgium. He was the son of Jesse and Frances Hadland. His mother had died in 1902, and prior to the war he was living at 65, Spring Lane, Chipping Norton with his father and step-mother and worked as a mill labourer. He had enlisted into the Oxfordshire & Buckinghamshire Light Infantry in Barrow-in-Furness in Lancashire. The 6th Battalion landed at Boulogne on 22nd July 1915 as part of the 60th Brigade in 20th (Light) Division. On 2nd March 1916 they relieved a battalion of the King's Rifles in trenches north of Ypres. On 4th it snowed all day and night, and on the following day at 1200 the Germans shelled their positions. Private Hadland was one of 4 men killed that day. FREDERICK GEORGE BEAMES HAKE was serving as an Able Seaman, Royal Navy aboard the cruiser HMS Black Prince and was lost when she was sunk at the Battle of Jutland on 31st May 1916. He was aged 27 and is commemorated on the Portsmouth Naval Memorial. He was the son of Sarah and Frederick Hake of Oxford. He had joined the Royal Navy on 25th August 1904 aged 16, doing his initial training on HMS Impregnable, which as HMS Howe had been the sister ship of HMS Victoria, and then on the depot ship HMS St George. His first ship was HMS Royal Arthur, an Edgar class cruiser which served on the North American and West Indies station between 1905 and 1906. After time at HMS Victory shore base he joined the cruiser HMS Cressy, again on the North American station. After a brief spell on HMS Edgar he joined the crew of HMS Powerful in October 1907, made an Able seaman, telegraph messenger, based on the Australia station until January 1910. After spells on the shore based stations Terrible, Excellent, Sealion and Victory he joined the battleship HMS Dreadnought on the 28th March 1911 and served with her until 3rd January 1913. After this he left the Navy, remaining on the reserves and joined the Oxfordshire Constabulary on 25th January 1913. Edith Hake re-married in Chipping Norton in 1922. He came to Chipping Norton as a Police Constable at the time of the strikes at Bliss Mill in 1913 and lived at 31, Spring Street, Chipping Norton. He was recalled to the Royal Navy on the 2nd August 1914 and served aboard HMS Europa, a Diadem class cruiser. 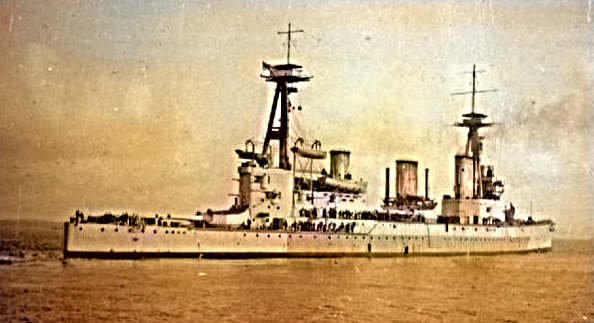 On the outbreak of war she was assigned to the Ninth Cruiser Squadron operating in the Atlantic and was stationed off Cape Finisterre as flagship until June 1915. In 1915 she was operating off Moudros, participating in the Dardanelles Campaign, for which she received the battle honour Dardanelles 1915. He returned home on 23rd May 1915 and joined shore-based HMS Victory until 23rd August when he was transferred to the Duke of Edinburgh class armoured cruiser HMS Black Prince, built for the Royal Navy in 1904. Home on leave in November 1915, he married Edith Stanley in Chipping Norton. LEWIS HUBERT HALL was serving as a Private with the 19th (The County of London) Battalion, The London Regiment when he was killed in action on 31st October 1915. He was aged 23 and is commemorated on The Loos Memorial for soldiers with no known grave. He was the son of Richard and Myra Hall of New Street, Chipping Norton, one of eight children. He had lost both parents by the time he was 8 and was living with his eldest sister and four other siblings at 13, King's Yard, Chipping Norton. He trained as an electrical engineer and moved to Camden Town in London. In October 1911 he joined the Territorial London Regiment in Camden Town. He was posted to France with the 18th Battalion on 10th March 1915. They took part in the The Battle of Aubers Ridge on 9th May, The Battle of Festubert, 15th-25th May and The Battle of Loos between 25th September and 1st October 1915. Two of his brothers served with the British Expeditionary Force in France. REGINALD FREDERICK HARDING was serving as a Corporal with the 2/4th Battalion, The Oxfordshire & Buckinghamshire Light Infantry when he was killed in action on 19th July 1916, during the Battle of Fromelles. He was aged 18 and is buried in Laventie Military Cemetery. He was the son of John and Louise Harding of 28, Rock Hill, Chipping Norton, one of nine children. He worked as an errand boy and was the younger brother of Bertie Harding (above). He joined the Territorial 4th Battalion in April 1914 and landed in France as part of 2/4 Battalion on 24th May 1916 under the command of the 19th (Western) Division.The first major action in which the Division was engaged turned out to be an unmitigated disaster. An attack was made on 19th July 1916 at Fromelles, a subsidiary action to the much larger battle taking place further south on the Somme. The Division suffered very heavy casualties for no significant gain and no enemy reserves were diverted from the Somme. BERTIE CHARLES THOMAS HARDING was serving as a Private with the 8th (Service) Battalion, The Gloucestershire Regiment when he died on 1st November 1916 of wounds received during the Battle of the Somme. He was aged 20 and is buried in Pucheville British Cemetery. He was the son of John and Louise Harding of 28, Rock Hill, Chipping Norton, one of nine children. He had previously been working as a groom in Lower Slaughter. His younger Reginald (below) also died in the war. He enlisted into The Gloucestershire Regiment in Cirencester and landed with the 8th Battalion in France on 18th July 1915. As part of the 19th (Western) Division they took part in the Battle of Albert on 1st July 1916, capturing La Boisselle and were involved in the Battles of High Wood, Pozieres and Ancre during that campaign. He was wounded during the Battle of Le Transloy, one of the last phases of the Somme and died as result on 1st November 1916 in a casualty clearing station. ARTHUR JAMES HARRIS was serving as a Sergeant in the 2nd Battalion, The Royal Welsh Fusiliers when he died of his wounds in the 9th General Hospital, Rouen on 15th June 1918. He was aged 23 and is buried in the St Sever Cemetery extension in Rouen. He was the son of William James and Ellen Harris and had been born in Deolali, India. His father had been a groom and a member of the Oxfordshire Militia before joining the Army full time in 1881. He had married Ellen Statye in April 1882 in Chipping Norton Registry Office. He served with the 3rd Battalion, the Royal Welch Fusiliers, rising to Sergeant. In 1895 he was posted to India along with his wife and child, serving there for over 8 years and having 5 more children including Arthur in that country. They returned to the United Kingdom in December 1895. On the 26th April 1901 he was discharged from the Army being medically unfit for further service, having contracted malaria. They took over the running of the Chequers Inn in Goddard's Lane but William died in in the summer of 1902, aged 39. Ellen Harris remarried Benjamin Dixon, a chimney sweep, in June 1903 and continued running the Chequers where her son Arthur lived, working as a printer's apprentice. “Dear Mother and Father.—Thanks very much for your letter, and please put all fears at ease as I leave here to-morrow (Saturday) for Wrexham. I did not write myself as I was unable, my wound being one from shrapnel on my right elbow. It is nearly well again now, but I cannot bend my arm yet. I expect to be at home with you soon now, so you must please stop worrying. I had a marvellous escape from death, as a piece of shrapnel found its way through the back of my cap and sent it spinning up the trench. In the first day of the action our poor regiment lost 120 men killed and wounded, and six officers were killed when I was hit. I was on my stomach in a five feet deep trench when I got it, so you can tell how the Germans searched our trenches with their deadly shrapnel shells. We had their infantry within 100 yards of our trenches, but could not get at them, as they all got behind a house and peppered us until one of our big guns with a thunderous roar and a well-directed lyddite shell cleared the house and sent the Germans in it to the Devil. Just after this I was hit right on the tip of the elbow, and as I climbed out of the trench my hat went whizzing back again, and I got it by leaning over the trench. One fellow who was getting out of the trench through sheer fright was deficient of a head in about a second, and came a bump back into the trench. I got out and offering up a prayer to God that none of the hail of lead would find me, ran like mad to the nearest village—a distance of about 1 ½ miles with the sleeve of my coat ripped right up to the elbow and blood streaming down my hand. I lost my rifle, bayonet, ammunition and everything, but I got away with a whole body except a slip off my elbow.” Courtesy of Douglas Rudlin. In 1915 they took part in the action at Hooge on 30th July, where they faced the first use of flame throwers by the Germans and the disastrous Battle of Loos between 25th September and 8th October. In 1916 they were in action during the Somme Offensive, taking part in the first day in the Battle of Albert on 1st July. The next phase they were involved in was The Battle of Bazentin Ridge between 15th and 17th July, the attacks on High Wood from 20th August and the capture of Boritska and Dewdrop Trenches during the last phase of the Somme Offensive, the Battle of Le Transloy in October. In 1917 they were involved in the Arras Offensive between 9th April and 16th May, fighting in The First and Second Battles of the Scarpe, before pursuing the Germans in their withdrawal to pre-prepared defences on the Hindenburg Line. Between June and September they were involved in operations on the Flanders coast in advance of an amphibious landing by British troops which never came about. On 25th September they fought in The Battle of the Menin Road Ridge followed by The Battle of Polygon Wood, phases of the Third Battle of Ypres. In 1918 they faced the awaited German Spring Offensive in the First Battles of the Somme between 21st March and 5th April. Buoyed by troops released from the Eastern Front after the surrender of Russia an attempt was made to win the war before the Americans arrived in numbers, the Germans attacked in large numbers across the old Somme battlefields. They advanced some 40 miles into allied held territory before being halted. Sergeant Harris was wounded during this time. WALTER EDWARD HARRIS was serving as a Private in the 1/4th Battalion, The Oxfordshire & Buckinghamshire Light Infantry when he died on 22nd March 1915 in Kenilworth Hospital in Chelmsford. He was aged 24 and is buried in Whittle Road Cemetery in Chelmsford. He was the son of William James and Ellen Harris and the brother of Arthur (above). He had been born in Peshawar, India where his father was serving in the Army (see above). Before enlisting he had been lodging in Cradley, Worcestershire, where he worked as a baker. He had joined the 4th Territorial Battalion in September 1914 in Oxford. In April 1915 the Battalion had been based in Writtle near Chelmsford. ALBERT HARRISON was serving as a Private with the 2nd Battalion, The Gloucester Regiment when he was killed in action during the Second Battle of Ypres on 9th May 1915. He was aged 35 and is commemorated on the Menin Gate Memorial for soldiers with no known grave. He was born in Alfred Terrace, Chipping Norton to parents James and Eliza but the family moved shortly after to Thrupp near Stroud where he worked as a farm labourer. He married Hannah Stark in 1911 in Somerset and at the time of enlistment was living in East Brent, Highbridge, Somerset. He is not on the town war memorial, but is remembered on the East Brent War Memorial. HENRY HARRISON was serving as a Private with the 5th (Service) Battalion, The Oxfordshire & Buckinghamshire Light Infantry when he was killed in action on 3rd May 1917. He was aged 36 and is commemorated on the Arras Memorial for soldiers with no known grave. He was the son of George and Rhoda Harrison of 4, Paynes Square, Over Norton. He married Laura Mealin in the town in 1906 and they lived at 52, West Street, Chipping Norton and he worked as a wool warper. The 5th Battalion arrived in France in May 1915 as part of the 42nd Brigade in 14th (Light) Division. During the Action of Hooge in 1915 the Division had the misfortune to be the first to be attacked by flamethrowers. They saw action in the Battles of Delville Wood and Flers-Courcelette actions of the Somme in 1916. In 1917 they cautiously pursued the Germans as they retreated to the Hindenburg line and took part in the Arras Offensive. As part of this offensive the Battalion took part in the Third Battle of the Scarpe. Leaving their trenches at 0345 on 3rd May 1917 they were immediately attacked by heavy shell, machine gun and rifle fire. They found an undiscovered trench and managed to dislodge the Germans from it and take cover. At 1100 the enemy launched a heavy counter attack and the Division was forced to retreat. The Battalion took heavy casualties, out of an initial compliment of all ranks of 550, 287 were either killed, wounded or missing with Private Harrison among the dead. ALBERT WILLIAM HILL was serving as an Able Seaman, Royal Navy aboard HM Submarine C33 when he was killed in action on 5th August 1915. He was aged 30 and is commemorated on the Plymouth Naval Memorial, his body never being recovered from the sea. He was the son of George and Sarah Hill of Gilks Yard, Chipping Norton. At the age of 15 he was working as a footboy living in Queens Gate, Kensington. He had been working as a hotel waiter when he signed on with the Royal Navy in Devonport on 12th November 1902 as a Boy 2nd Class. He trained on HMS Northampton boys training ship and was made a Boy 1st Class. He was then at HMS Victory shore establishment being made an Ordinary Seaman in May 1903. 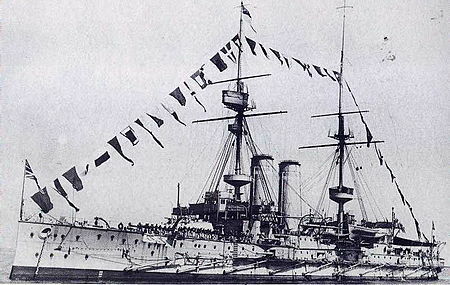 He then served on the training ship HMS Calliope until the end of October 1903. 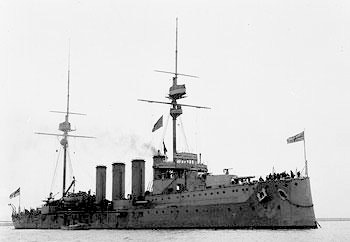 His first ship was the Barham third class protected cruiser HMS Bellona, serving with her until September 1905, and being made an Able Seaman aboard her. Spells on the shore establishments Vernon, Victory and Mercury followed. In July 1907 he joined the crew of the Mersey class cruiser HMS Forth, which had been converted to a submarine depot ship, below, serving with her until January 1913. Further spells ashore followed including as spell at HMS Dolphin, the submarine training establishment at Gosport, based there between April and September 1914. On 17th September 1914 he was assigned to HMS Arrogant the submarine depot ship based in Dover, joining the crew of HM Submarine C33, below. By January 1915, she had moved to Harwich and was employed using the U-Boat Trap tactic. In this, a submarine would be towed submerged behind a bait vessel. When challenged by the U-Boat, the bait vessel would transmit instructions to the submarine, which would slip its tow and attempt to torpedo the German U-Boat. The tactic did meet with some successes. On 4th August 1915, HMS C33 had completed a 'U-Boat Trap' patrol with the armed trawler Malta. The two vessels parted company at 2015 that day and the last contact with the submarine was made by wireless at 2150. No further contact was made with HMS C33 and despite a search, no wreckage or survivors were found. The Admiralty assumed that HMS C33 was lost to a mine with all hands, as the Germans made no claims regarding her loss. He left a widow behind in Dover. FRANK HITCHMAN was serving as a Private in the 5th (Service) Battalion, The Oxfordshire & Buckinghamshire Light Infantry when he was killed in action on the 24th August 1916. He was aged 18 and is buried in Delville Wood Cemetery in Longueval France. He was the son, one of six children, of William and Fanny Hitchman of 6, Guildhall Place, Chipping Norton. The 5th Battalion arrived in France in May 1915 as part of the 42nd Brigade in 14th (Light) Division. During the Action of Hooge in 1915 the Division had the misfortune to be the first to be attacked by flamethrowers. They then took part in the Battle of Delville Wood from 15th July 1916, part of the Battle of the Somme. On 23rd August they occupied trenches on the edge of Delville Wood. On the 24th they attacked and captured German trenches in the wood. They took 200 German prisoners and killed or wounded 300 others. The Battalion lost 41 men including Private Hitchman. VICTOR OSWALD HOARE was serving as a Private in the 1st/6th Battalion, The Royal Warwickshire Regiment when he was accidentally killed on the 12th February 1917. He was aged 23 and is buried in Assevillers New British Cemetery in the Somme region. He was the son of Harry Busson, who died in 1909 and Agnes Busson who died in 1901, living with his grandparents at 9, Market Street, Chipping Norton after both his parents died. He took his mother' maiden name of Hoare. He was a cloth washers assistant before the war and enlisted into the Warwickshire Regiment in Chipping Norton. The Battalion arrived in France on 15th May 1915 as part of the 143rd Brigade, 48th (South Midland) Division. They saw action in various phases of the Battle of the Somme from 1st July 1916. He was in the trenches in the area of Asservilles on the Somme when he was killed and another soldier wounded in an accident. HUGH JAMES HOPPS was serving as a Surgeon with the Royal Navy aboard HMS Aboukir when he died on active service on 22nd September 1914. He was aged 27 and he is commemorated on the Chatham Naval Memorial. ​Hugh James Hopps was born on 6th September 1887 to James Montgomery Hopps and his wife Lucy, and lived at 142 The Leys with his two younger siblings. By the 1901 census they were recorded as living in Edinburgh. He was educated at George Watson's College in Edinburgh and then Edinburgh University where he graduated M.B., Ch. B. in 1911. He held the appointment of House Surgeon at the Gloucester County Infirmary and subsequently entered the service of P & O, sailing to Bombay on the RMS Himalaya returning at the end of the year in RMS Persia. After a house appointment at Grimsby Infirmary Hugh Hopps joined the Royal Navy in September 1913 and after training at Greenwich and Haslar was appointed ships' surgeon on HMS Pembroke, a shore base at Chatham, before joining HMS Aboukir. HMS Aboukir was a Cressy class armoured cruiser built in 1902. The Cressy class vessels had rapidly become obsolete due to the great advances in naval architecture in the years leading up to the First World War. At the outbreak of the war, these ships were mostly staffed by reserve sailors. 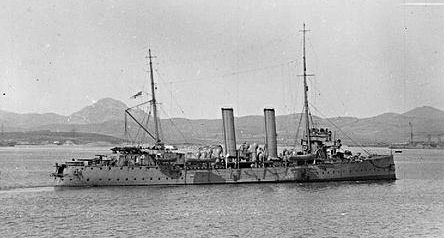 Aboukir was one of four ships that made up the 7th Cruiser Squadron. 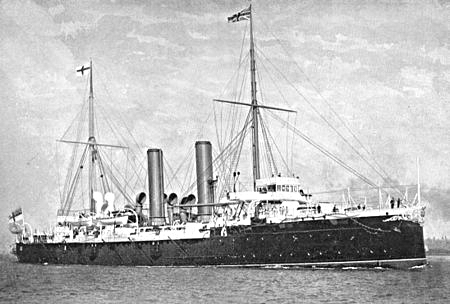 Shortly after the outbreak of the First World War in August 1914, Aboukir and her sister ships Bacchante, Euryalus, Hogue and Cressy were assigned to patrol the Broad Fourteens of the North Sea in support of a force of destroyers and submarines based at Harwich which blocked the Eastern end of the English Channel from German warships attempting to attack the supply route between England and France. 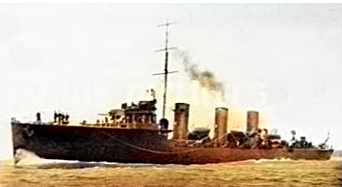 At around 06:00 on 22 September, the three cruisers had to return to harbour to refuel and were steaming at 10 knots in line ahead when they were spotted by the German submarine U-9 commanded by Kapitanleutnant Otto Weddigen. Although they were not zigzagging, all of the ships had lookouts posted to search for periscopes and one gun on each side of each ship was manned. Weddigen ordered his submarine to submerge and closed the range to the unsuspecting British ships. At close range, he fired a single torpedo at Aboukir. The torpedo broke her back, and she sank within 20 minutes with the loss of 527 men. The captains of Cressy and Hogue thought Aboukir had struck a floating mine and came forward to assist her. They stood by and began to pick up survivors. At this point, Weddigen fired two torpedoes into Hogue, mortally wounding that ship. 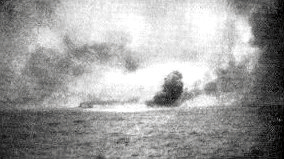 As Hogue sank, the captain of Cressy realised that the squadron was being attacked by a submarine, and tried to flee. However, Weddigen fired two more torpedoes into Cressy, and sank her as well. The entire battle had lasted less than two hours, and cost the British three warships, 62 officers and 1,397 ratings. This incident established the U-boat as a major weapon in the conduct of naval warfare. He is not on the Town War Memorial but is remembered on the Burntisland War Memorial, and on his parents gravestone in Kinghorn, Scotland. His family suffered a further loss when his brother 2nd Lieutenant William Hopps of the Northumberland Fusiliers died of wounds on 22nd May 1916. HUBERT FRANK HORWOOD was serving as a Rifleman with 2nd Battalion, The Royal Irish Rifles when he died of his wounds in hospital in Rouen on 22nd April 1918. He was aged 24 and is buried in St Sever Cemetery extension, Rouen. He had previously served in The London Regiment. He was the son, one of nine children, of William and Helen Horwood of 68, The Leys Chipping Norton, and had worked as a grocer's porter. He enlisted into The 17th (County of London) Battalion, The London Regiment (Poplar and Stepney Rifles) in April 1915 transferring to The Royal Irish Rifles. He was wounded in the Battle of St. Quentin from 21st March 1918 fighting against the German Offensive which pushed the Allies back 40 miles. ALBERT WILLIAM HUGHES was serving as a Private in the 15th (Service) Battalion, The Hampshire Regiment when he was killed in action on the 25th July 1918. He was aged 19 and is buried in Lijssenthoek Military Cemetery in Belgium. He was the son, one of seven children, of Albert Edward and Jane Hughes of 1, Distons Lane, Chipping Norton. He had enlisted into the Hampshire Regiment in Chipping Norton. He was killed when two companies of his battalion carried out a trench raid on enemy positions at Kleine Kemmelbeek in Belgium. The objectives were gained but the flanks were subject to heavy machine gun fire killed two men and wounded four. WILLIAM HENRY HUNT was serving as a Private in the 1st/4th Battalion, The Oxfordshire & Buckinghamshire Light Infantry when he was killed in action on the 8th August 1917 during the Third Battle of Ypres. He was aged 29 and is commemorated on the Menin Gate Memorial for soldiers with no known grave. He was the son of Frederick and Sarah Hunt of Lew near Black Bourton, one of five children. In 1909 he married Maud Webb in Chipping Norton. They lived at 2, Kimberley Place, Chipping Norton, where he worked as a farm labourer. They had three children together, Ellen Maud, William and Percy, born between 1911 and 1914. On 11th December 1915, he enlisted for the duration of the War. He was mobilised on 31st May 1916 and transferred to the Oxfordshire and Buckinghamshire Light Infantry on 1st June 1916. In September 1916, he joined “D” Company of the 1st/4thBattalion at Fienvillers in France and spent November in the Front Line near La Sars. This was the last month of the Somme Offensive. In February and March 1917, the Battalion, as part of the 48th Division, had cautiously pursued the Germans in their strategic retreat to pre-prepared defensive positions on the Hindenburg Line. The Germans had destroyed everything in their path as they pulled back across the old Somme battlefields, leaving booby traps behind. They were once again in action near Herbecourt, west of Peronne. On 19th April, “D” Company attacked Gillemont Farm nearRonssoy to the north-east of Peronne. Thirteen men were killed in action and 48 were wounded of whom five later died. In May 1917, after a brief rest, the Battalion marched north to the Front Line near Hermies where they remained until 3rd July 1917. After further training and R & R at Bailleulmont near Doullens, the Battalion entrained at Mondicourt on 21st July 1917, arriving at Godeswaersveldt in Belgium on the 22nd. They were entrenched at the Front along the Steenbeek, north-east of Ypres from 5th to 8th August. In the early hours of 8th, the Battalion was relieved by the 1/4th Berkshire Regiment and moved into reserve trenches. The battalion was awaiting to advance on German positions, when William Hunt was killed by a shell whilst writing a letter home, along with five other members of his company. His widow remained in Chipping Norton for the rest of her life, dying in 1960 aged 77. ALBERT HARRY HYDE was serving as a Stoker 1st class on board HMS Ruby, an Acorn class destroyer, when he died of double pneumonia on 7th October 1918. He was aged 34 and is buried at Bari cemetery in Italy. He was the son of Richard and Emma Hyde of 35, Rock Hill, Chipping Norton, one of ten children, and having been born in Chadlington. He had been an estate worker at Heythrop prior to joining the Navy, signing up for 12 years on 15th April 1903, aged 18. He began his service on HMS Nelson, a training ship for stokers and then on the Special services yacht HMS Firequeen. 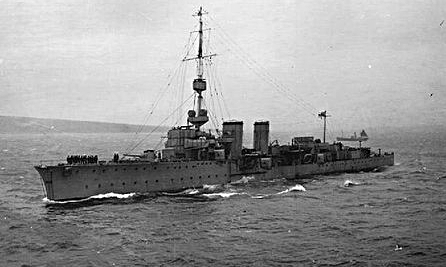 He next served on the cruiser HMS Retribution, Firequeen II and the shore station Erebus. In February 1905 he joined the crew of the new battleship King Edward VII and served in her until March 1907, by which time she had become obsolete by the introduction of the dreadnoughts. 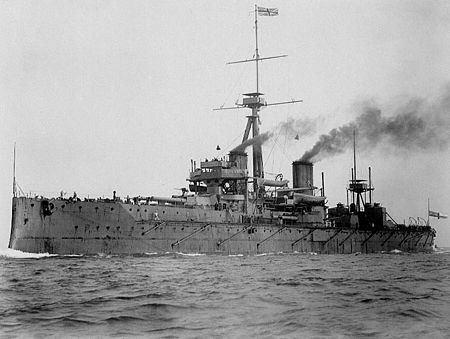 A spell at the Victory shore base was followed by a brief spells on another pre-dreadnought battleship HMS Barfleur and the cruiser HMS Royal Arthur. Between 14th August 1907 until 17th March 1908 he was at the shore establishment Pembroke and after until 3rd January 1909 on the crew of HMS Latona, recently converted to a minesweeper. It was during the last two postings that he seemed to have a problem with authority being jailed for three days, seven days twice and fourteen days. From there he joined the battleship HMS Dreadnought, at the time the flagship of the Home Fleet, until 27th March 1911 when he was posted to shore bases Victory and Vernon. Here again he got into trouble being jailed 28 and 60 for "break outs". In July 1913 he joined the crew of the battleship HMS Superb, being jailed again for 14 days, but now promoted to Stoker 1st class. On 29th July 1914 the Superb left Portsmouth when the Grand Fleet relocated to its war base at Scapa Flow. He left Superb in February 1915 and after a spell ashore joined the new "C" class cruiser HMS Castor and saw action in The Battle of Jutland, where his ship was damaged by German fire. He served on Castor until 27th January 1917. After service ashore he joined HMS Ruby, an Acorn class destroyer, on 1st April 1918. He was the brother of Robert Hyde (below). ROBERT HYDE was serving as a Lance Corporal with the 3rd Battalion, The Coldstream Guards when he was killed in action during the Battle of Flers-Courcelette on the 15th September 1916. He was aged 34 and is buried in Delville Wood Cemetery, Longueval. He was the son of Richard and Emma Hyde of 35, Rock Hill, Chipping Norton, one of ten children, his brother Albert died while serving in the Royal Navy. He married Susan Smith in 1903 and lived in Southside, Hook Norton with their two young sons, Robert and William and worked as an ironstone digger. He joined the Coldstream Guards in February 1915 and arrived in France on 3rd October 1915, joining the Guards Division in the field. The Battle of Flers-Courcelette, part of the Battle of the Somme, was a large-scale general renewal of the offensive after the weeks of attritional fighting for the third German system at Pozieres, High Wood, Delville Wood, Guillemont and Ginchy. It is historically noteworthy for being the first time that tanks were used in battle. Few in number, mechanically unreliable and as yet without proven tactics for their best use, the small numbers of tanks that actually went into action had an important positive effect. High Wood and Delville Wood were finally cleared and a deep advance was made to Flers and towards Combles. He is also commemorated on Hook Norton War Memorial. CHARLES DAVID JOINES was serving as a Private in the 62nd Protection Company, The Royal Defence Corps when he died of natural causes on 26th January 1917. He was aged 60 and is buried in Chipping Norton Cemetery. He was born in Bodicote in 1856 and had previously worked as an traction engine driver, bricklayer and mason. He was also a member of The Oxfordshire & Buckinghamshire Light Infantry Volunteer Reserve. He married Sarah Padley in Chipping Norton in 1875 and had eight children with her. They eventually settled at 67, Rock Hill in the town where Edward, below, was born. On 19th April 1915 he volunteered for a years service in The Oxfordshire & Buckinghamshire Territorial force, giving his age as 48 although he was actually 59 and the upper age limit was 51 for enlistment into the Territorials. On 29th April 1916 he was transferred to the Royal Defence Corps, 62nd Protection Company who were tasked with guarding railways, ports and other installations. He was stationed at the Channel port of Newhaven when in September 1916 he found that he could not swallow solid food and suffered from sickness and emaciation. He was admitted to No2 General Hospital in Brighton, where he was diagnosed with an untreatable malignant oesophageal obstruction. He was discharged from hospital on 17th December 1916 and discharged from the Army on 7th January 1917 as permanently unfit. His commanding officer praised his very good conduct and service, and he was awarded a pension of 20 shillings a week. He returned home to Chipping Norton where he died at home on 26th January 1917. EDWARD GEORGE JOINES serving as a Sergeant in "B" Battery, 84th Army Brigade, The Royal Field Artillery when he was killed in action on 17th August 1917. during the Battle of Langemarck. He was aged 34 and is buried in Bleuet Farm Cemetery near the Belgium town of Ypres. He was born in 1883 to parents and Charles & Sarah Joines of 67, Rock Hill, Chipping Norton, one of eight children. He had worked as a labourer whilst serving in the 2nd Battalion Oxfordshire and Buckinghamshire Volunteer Reserve, as his father (above) had done, before enlisting in The Royal Field Artillery on 24th September 1900. He served with the 4th Battery RFA in the Boer War with distinction, rising to Corporal and being awarded the Queen’s South Africa medal with Orange State and Cape Colony clasps. Whilst serving in Ahmedabad, India he was jailed for 14 days for “conduct to the prejudice of good order and military discipline” after telling his Regimental Sergeant Major, in no uncertain terms, that he was not attending a riding lesson. In March 1911 he married Laura Winman in Bicester and left the Army in September 1912, although he remained on the reserve list, and joined the Police Force serving as a Constable in Bicester. In 1913 they moved to Wotton near Woodstock. On the 5th August 1914 he was recalled to the Royal Field Artillery, being promoted to Sergeant in August of that year. He served in this country until being posted to France on the 7th January 1917. He served with 29 Brigade until the 17th March 1917 when he was hospitalized suffering from myalgia, a disorder brought on by overuse or strain of the muscles. On 30th June he returned to the front line joining 84 Brigade. He was killed in action on the 17th August 1917, during the Battle of Langemarck, part of the Third Battle of Ypres, one of 10,266 British servicemen killed there. He left behind his widow Laura and two sons Edward, aged 6 and William aged 4. In 1918 his widow was awarded a weekly pension of 25 shillings and five pence and remarried in 1925. ERNEST KEEN was serving as a Private in the The Hampshire Regiment, seconded to the 661st Agricultural Company, Labour Corps when he died on 1st November 1918. He was aged 32 and is buried in Chipping Norton Churchyard. He was one of five sons of Walter and Edith Keen of 10, Finsbury Place, Chipping Norton and was a factory worker. He had previously served with the Worcester Regiment. He died in Peterborough Infirmary of influenza and pnuemonia His elder brother Albert had seen action with The Royal Warwickshire Regiment and been made a prisoner of war. FRANK KEEN was serving as a Private with the 8th Battalion, The Princess Charlotte of Wales Regiment, (The Royal Berkshire Regiment) when he was killed in action on 23rd October 1918. He was aged 20 and is buried in the Highland cemetery at Le Cateau. He was the son, one of 8 children of Joseph and Patience Keen of Chapel House, Over Norton and the brother of Joseph (below). Frank Keen had been working as a groom before enlisting into the 4th Battalion, The Oxfordshire & Buckinghamshire Light Infantry on 28th September 1916. After training he embarked at Southampton for Le Havre, arriving on 21st July 1917. After further training at a base depot he was posted to the 6th Battalion, The Royal Berkshire Regiment, arriving in the field on 5th August. He was wounded on 19th November 1917, after the Battle of Passchendaele, suffering the effects from a mustard gas shell. After time in hospital in Wimereux he returned home on 27th November. On 3rd April 1918 he returned to France, joining the 8th Battalion on 14th April 1918. On 1st August he was fined a days pay for being absent at roll call and 4 days Field Punishment No 2, being placed in fetters and handcuffs, for "irregular behaviour". The Battalion was at Le Cateau on 23rd October 1918 when they began the advance on Valenciennes at 0120 under a creeping barrage. The Germans retaliated by shelling the Battalion's lines causing 15 causalities, including Frank Keen. JOSEPH HENRY KEEN was serving as a Lance Corporal with the 1st Battalion, Oxfordshire & Buckinghamshire Light Infantry when he died on 6th August 1916. He was aged 28 and was taken prisoner by the Turks after being wounded at the siege of Kut and died in their hands. He is buried in Baghdad North Gate Cemetery. He was the son, one of eight children, of Joseph and Patience Keen of Chapel House, Over Norton. In 1911 Joseph was serving with the Battalion in Ahmednagar, India. The Battalion, as part of the 6th Poona Division, under command of 17th Indian Brigade, moved from India to Mesopotamia in November 1914, to protect Persian oil supplies from the Ottoman Empire. The Battalion took part in the march towards Kut-al-Amara with the intention of capturing it from the Ottomans. The battle for Kut began on 26 September and raged for a number of days until the Ottomans went into retreat and Kut was captured on 28th September 1915. The Battalion then took part in the Battle of Ctesiphon in the effort to capture the capital, Baghdad, which ended in the 6th Poona Division being defeated by the Ottoman forces, with the Battalion sustaining 304 casualties. The Division subsequently retreated to Kut, reaching it on 3rd December 1915, with a garrison of 10,000 Britons and Indians. It was besieged by the Ottomans, from the 7th December. The Ottomans launched numerous attempts to take Kut, all of which were repulsed by the defenders, with both sides suffering heavy casualties. The British tried desperately to relieve Kut, but failed, suffering heavy losses. By 26th April 1916 supplies had dwindled significantly and many of the garrison's defenders were suffering from sickness. The garrison negotiated a cease-fire, allowing the sick and wounded to be transferred to the relieving forces and on 29th April the British-Indian force, now down to 8,000, surrendered to the Turks including 400 men of the 1st Ox and Bucks. Many suffered mistreatment by the Ottomans and only 71 of all ranks of the 1st Ox and Bucks who had been taken prisoner returned home to Great Britain. ANDREW BERNARD KING was serving as a Private with the 12th (Service) Battalion (Bristol), The Gloucestershire Regiment when he was killed in action on the 23rd August 1918. He was aged 20 and is buried in Queens Cemetery, Bucquoy in the Pas de Calais. He was the son of Alfred and Emma King of 2, High Street, Chipping Norton, one of five children although his younger brother and sister died in infancy. He had enlisted into the 1st/4th Territorial Battalion, The Oxfordshire and Buckinghamshire Light Infantry on 5th June 1915. He was discharged 8 days later as he had lied about his age on the attestation form, he was only 16 at the time. He enlisted into the 12th Gloucesters in 1917 in Banbury and joined them in France, where they were part of the 5th Division. It entered into what became a series of complex, endless, overlapping Allied attacks,known as the 100 Days Offensive, that forced the German Army into retreat. Fighting through Albert, returning to the old and devastated Somme ground of 1916, to Irles. Private King was killed in an operation to capture the village, part of the Second Battle of Bapaume, one of over 200 from the Battalion killed that day. LESLIE FREDERICK KING was serving as a Private in the 3rd Depot Battalion, The Oxfordshire & Buckinghamshire Light Infantry when he died on 21st April 1917. He was aged 19 and is buried in Chipping Norton Cemetery. He is the son of Frederick and Emily King of Gloucester Villas, Chipping Norton. He had been suffering from pulmonary meningitis and exhaustion when he died in Boscombe Military Hospital. PHILIP CHARLES VALENTINE KERBY (KIRBY) was serving as a Trooper in the 1/1st Battalion, The Warwickshire Yeomanry when he was drowned when His Majesty's Transport Ship Wayfarer was torpedoed in the Irish Sea on 11th April 1915. He was aged 22 and is commemorated on the Hollybrook Memorial in Southampton. He was the son of Henry and Matilda Kerby of Mollington and before enlistment was working as a groom for the Chamberlaynes at The Elm, Church Lane, Chipping Norton. Major Edward Tankerville Chamberlayne DSO MID served in the same regiment. On the 10th April 1915, The Wayfarer sailed from Avonmouth en-route to Egypt, having on board, under the command of Major R. A. Richardson, five other officers with 189 N.C.O.s and men, and 763 horses and mules. The following day, when 60 miles W.N.W. of the Scilly Isles, the ship was struck by a torpedo from U-Boat U 32 captained by Freiherr Edgar von Spiegel von und zu Peckelsheim. She was hit on the port side just forward of the engine room. Both the engine room and boilers were flooded. All on board went to their boat stations and the boats with their occupants were safely got away. Unfortunately one boat capsized, with the loss of three men of the Warwickshire Yeomanry, including Trooper Kerby, and one of the Army Service Corps. 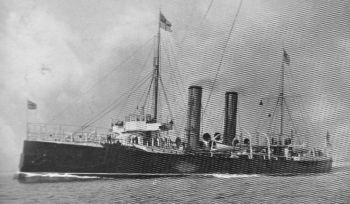 An hour later a small trading steamer, the S.S. Framfield, came to the rescue and all were transferred on board and the Wayfarer taken under tow to Queenstown in Ireland, with the result that only 5 men lost their lives and 760 animals were landed safely. Philip Kerby is also commemorated on Mollington war memorial. FREDERICK KNIBBS was serving as a Lance-Corporal with "B" company, the 9th(Service) Battalion, The Royal Welsh Fusiliers when he died of wounds received at the Battle of Loos on 28th September 1915. He was aged 26 and is buried in Le Treport Military Cemetery near Dieppe. He was the son, one of eight children of Frederick and Sarah Knibbs of 30, Rock Hill, Chipping Norton. He had moved to Wales and was working for the Great Western Railway, firstly as a porter at Llanhilleth then promoted to head shunter at Nantyglo. On 20th March 1908 he unfortunately allowed a crane jib to become tangled in a wagon, damaging the crane beyond repair and was demoted back to a porter and resigned shortly after. He enlisted into The Royal Welsh Fusiliers in Llanelly and arrived in France with them on 19th July 1915. He was wounded in action on 25th September1915 when his Nattalion were involved in a costly diversionary attack at Bois Grenier. He died in the No2 Canadian General Hospital in Le Treport. WILLIAM JAS KNIGHT was serving as a Private in the 2nd Battalion, The Oxfordshire & Buckinghamshire Light Infantry when he was killed in action on the 1st May 1918. He was aged 30 and is buried in the Cabaret-Rouge British Cemetery, Souchez in the Pas de Calais. He was the son, one of seven children of William and Rose Knight of Over Norton. He married Annie Clack in 1910 and lived at 10, Guildhall Place, Chipping Norton with their young daughters Edna and Doris. He worked as a groom and coachman for Major Daly at Over Norton Park, along with Frank Murrell who also died in the war. He joined the 2nd Battalion in September 1914 and arrived in France on 18th September 1915. They took part in all the major battles on the Western Front including the Somme, The Third Battle of Ypres and fighting against the German Spring Offensive in 1918. 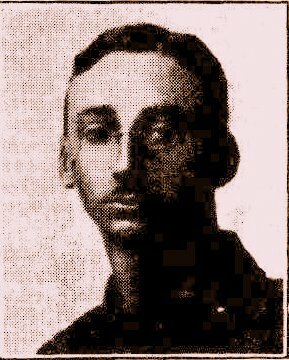 L/Cpl Knight was one of three killed by shelling as the Battalion moved into positions near Boisleaux-au-Mont. HARRY ROWLAND LANE was serving as a Stoker 1st Class Royal Navy on board HMS Indefatigable when it was sunk on 31st May 1916. He was aged 26 and is commemorated on the Plymouth Naval Memorial for those lost at sea. He was the son of William Bayles Lane and Sarah Lane, living with his mother and her parents at 2, Alexandra Square, Chipping Norton. Harry had joined the Great Western Railway when he was 16, working as a cleaner first at Oxford Station then at Chipping Norton. He left in October 1908 and worked as a collier before enlisting into the Royal Navy on 16th August 1910. He underwent training as a stoker at HMS Vivid in Devonport before joining the crew of HMS Indefatigable on 24th February 1911, which had been commissioned that day. HMS Indefatigable, below, was a battle cruiser of the Royal Navy and the lead ship of her class. She was an enlarged version of the earlier Invincible Class with a revised protection scheme and additional length amidships to allow her two middle turrets to fire on either broadside. On 9th July 1913 Harry Rowland spent 6 days in the cells for being drunk and disorderly after being promoted to Stoker 1st class. Harry Rowland served on the Indefatigable throughout, serving with the 2nd Battle Cruiser Squadron(BCS) in the Mediterranean, where she unsuccessfully pursued the battle cruiser Goeben and the light cruiser Breslau of the German Imperial Navy as they fled towards the Ottoman Empire. 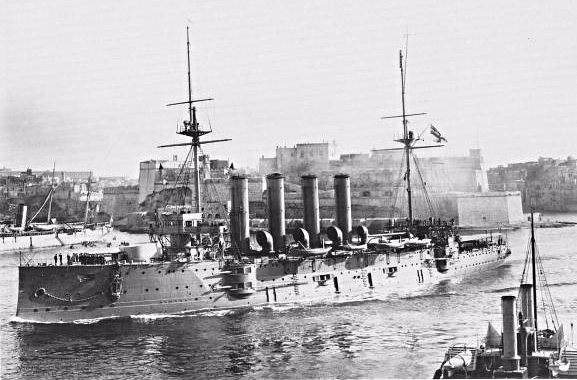 The ship bombarded Ottoman fortifications defending the Dardanelles on 3rd November 1914, then, following a refit in Malta, returned to the United Kingdom in February where she rejoined the 2nd BCS. Indefatigable was sunk on 31st May 1916 during the Battle of Jutland, the largest naval battle of the war. Part of Vice-Admiral Sir David Beatty's battle cruiser fleet, she was hit several times in the first minutes of the "Run to the South", the opening phase of the battlecruiser action. Shells from the German battlecruiser Vonn der Tann caused an explosion ripping a hole in her hull, and a second explosion hurled large pieces of the ship 200 feet in the air. Only two of the crew of 1,019 survived. LEONARD LANGFORD was serving as a Private in the 10th (Service) Battalion, The Gloucester Regiment when he died of wounds received during the Battle of the Somme, on 20th November 1916. He was aged 29 and is buried in Dernancourt Communal Cemetery Extension. He was born in North Leigh to parents John and Emily Langford and later moved with his family to Boulters barn in Churchill, where he worked as a shepherd. At the time of his death his parents were living at 67, Rock Hill, Chipping Norton. He had joined the 4th (Reserve Battalion), The Oxfordshire & Buckinghamshire Light Infantry in Chipping Norton before transferring to the Gloucesters. He arrived in France with them on 9th August 1915, and saw action in the Battle of Loos. ERNEST MARGETTS was serving as a Lance Corporal with "D" company, the 2nd Battalion, The Gloucestershire Regiment when he died of his wounds on 11th July 1915. He was aged 26 and is buried in Erquinghem-lys Churchyard in the Pas-de-Calais. He was the only son of Thomas and Elizabeth Margetts of Over Norton and enlisted in the Gloucestershires in January 1908 and served was a professional soldier serving with the Gloucestershires in Malta in 1911. At the outbreak of the war the 2nd Glosters were part of an International force in Tientsin, China and returned to England, landing at Southampton on 8th November 1914. Ernest married Ivy Timms later in Charlbury, later that month before embarking to France, landing at Le Havre on 19th December 1914. His Battalion, as part of the 27th Division, took part in the action of St Eloi where several mines were blown under German positions. The Division took the territory but it was later re-taken by the Germans. From 22nd April 1915 they fought in the Second Battle of Ypres during which the Germans used chlorine gas on a large scale. By the end of the Battle on 30th May the German had compressed the Ypres Salient allowing their artillery to destroy the town.The battalion were in billets in Armentieres on 9th July 1915 when Lance Corporal Margetts was wounded by a shell. He died two days laterin the 81st Field Ambulance. HAROLD FRANCIS MARGETTS was serving as a Private in the 2nd Battalion, Oxfordshire & Buckinghamshire Light Infantry when he was killed in action during the Battle Of Arras on 24th April 1917. He was aged 21 and is commemorated on the Arras Memorial for those with no known grave. He was born in 1895, one of six children of Philip and Martha Margetts of 15 Distons Lane, Chipping Norton. In 1911 he was recorded as living at 20, Roseberry Avenue, Bridgewater, Somerset, lodging with his married sister and working as a grocer’s assistant. He joined the 2nd Battalion, The Oxfordshire & Buckinghamshire Light Infantry in Oxford in February 1913 and arrived in France with them on 14th August 1914. As part of the 2nd Division, The Battalion saw action in many of the engagements on the Western Front. This included the Battle of Mons, the retreat to the Seine, the battles of Le Cateau, the Marne, the Aisne and the first Battle of Ypres in 1914. The Battles of Festubert and Loos in 1915 and the Battles of Deville Wood and The Ancre, phases of the 1916 Somme Offensive. He was killed in action on during the Second Battle of the Scarpe, a phase of Battle of Arras, when the Germans counter attacked the recently captured village of Gavrelle. He is also rememberedon the Bridgewater War Memorial. JOHN HENRY MARGETTS was serving as a Colour Sergeant in the 2nd Dorsetshire Regiment when he died of disease on 16th June 1916 whist a prisoner of the Turks. He was aged 34 and is commemorated on the Basra Memorial for soldiers with no known grave. He was the son of Harry and Emily Margetts of New Street, Chipping Norton and had four sisters. He worked as a journeyman butcher before joining the Army. He was a professional soldier with the Dorsets having served in India and Ceylon before the war. At the outbreak of war the 2nd Dorsets were based in Poona, India as part of 16th Indian Brigade. On 6th November 1914 they landed in Fao on the Persian Gulf, for the campaign in Mesopotamia to protect oil supplies, as part of Indian Expeditionary Force 'D'. The Battalion was trapped in the Siege of Kut and on 29th April 1916 captured by the Turks. Of the 350 men of the battalion captured, only 70 survived their captivity including Sergeant Margetts who died of disease at Tikrit as a prisoner of war of the Turks on the forced march through Mesopotamia after the siege of Kut. ISAAC MARSHALL was serving as a Sergeant in the 2nd Battalion, The Grenadier Guards when he was killed in action on the 25th October 1914, during the First Battle of Ypres. He was aged 29 and is commemorated on the Menin Gate Memorial for soldiers with no known grave. He was the son of Edwin and Emma Marshall of Coneygree Terrace, Chipping Norton. He married Marian Deakin in Paddington in 1912 and at the time of his death she was living in Great Rollright with their young son Geoffrey. He joined the Grenadier Guards on 2nd October 1904 and was made full Sergeant in 1911. He left to join the Worcester Police in 1912 but remained on the reserve, being recalled at the outbreak of war and arriving in France with his Battalion on 13th August 1914. The were soon in action in the Battle of Mons on 25th August, where they held up the German army despite being heavily outnumberedThe First Battle of Ypres was fought around Ypres in western Belgium during October and November 1914. The battle took place as part of the First Battle of Flanders, in which German, French, Belgian and British armies fought from Arras in France to Nieuport on the Belgian coast. The battles at Ypres began at the end of the Race to the Sea which involved attempts by the German and Franco-British armies to advance past the northern flank of their opponents. JOHN MEADES was serving as a Private with 1st Battalion, The Oxfordshire & Buckinghamshire Light Infantry when he died of illness on 25th September 1918 at Yarbaschi prisoner of war camp in Turkey. He was aged 28 and is buried in Baghdad North Gate Cemetery. He was the son of Joseph and Jane Meades of 4, Newbridge Terrace, Worcester Road, Chipping Norton. He was a professional soldier who before the war was serving in India. The Battalion, as part of the 6th Poona Division, under command of 17th Indian Brigade, moved from India to Mesopotamia on 5th November 1914, to protect Persian oil supplies from the Ottoman Empire. The Battalion took part in the march towards Kut-al-Amara with the intention of capturing it from the Ottomans. The battle for Kut began on 26 September and raged for a number of days until the Ottomans went into retreat and Kut was captured on 28th September 1915. The Battalion then took part in the Battle of Ctesiphon in the effort to capture the capital, Baghdad, which ended in the 6th Poona Division being defeated by the Ottoman forces, with the Battalion sustaining 304 casualties. The Division subsequently retreated to Kut, reaching it on 3rd December 1915, with a garrison of 10,000 Britons and Indians. It was besieged by the Ottomans, from the 7th December. The Ottomans launched numerous attempts to take Kut, all of which were repulsed by the defenders, with both sides suffering heavy casualties. The British tried desperately to relieve Kut, but failed, suffering heavy losses. By 26th April 1916 supplies had dwindled significantly and many of the garrison's defenders were suffering from sickness. The garrison negotiated a cease-fire, allowing the sick and wounded to be transferred to the relieving forces and on 29th April the British-Indian force, now down to 8,000, surrendered to the Turks including 400 men of the 1st Ox and Bucks. Many suffered mistreatment by the Ottomans and only 71 of all ranks of the 1st Ox and Bucks who had been taken prisoner returned home to Great Britain. MOWBRAY MEADES was serving as a Private in the 2nd/6th Battalion, the North Staffordshire Regiment when he died of illness on 9th July 1918 aged 26. He is buried in Lille Southern Cemetery. He was the son of William and Ann of 23, Distons Lane, Chipping Norton. He married Emily Lambert in Churchill in 1909 before moving to Thornton Heath, Surrey where he worked as an audit clerk, later becoming an accountant. They had two daughters, Muriel and Eileen there. His older brother William also died in the war, in 1917. He enlisted on 17th December 1915 into the reserves of the 11th Royal Fusiliers and was mobilised on 22nd June 1916, being posted to France with as a Private with the 2nd Battalion, The Middlesex Regiment on 10th October 1916. They saw action in the Battle of Pilckelm Ridge, the opening phase of The Third Battle of Ypres from 31st July 1917, fighting to gain control of Railway Wood. His family moved back to Churchill where his wife had been born and where she gave birth to her third daughter Olive in 1917. The Battalion had left the front line and returned to camp. They were bombed by German aircraft on 12th August 1917 and Mowbray was hit in the left thigh, one of 4 killed and 62 wounded. He was invalided home to hospital in Bradford. After recovering he was transferred to the Command depot in Tippperary, where on 4th September 1917 he was hospitalized with further complications with his earlier wound. He returned to France on 20th March 1918 and transferred to The North Staffords to fight against the German Spring Offensive which had overrun The Somme area in 1918. He was reported missing on the 10th April 1918 and later reported as wounded in action and a prisoner of war. He died on 9th July 1918 of pneumonia in the German hospital at Lilles and is buried in the communal cemetery there. In his will he left his wife the sum of £573 8s 7d. Emily moved to 65, New Street, Chipping Norton with her youngest daughter Olive, visiting New York with her in 1948, travelling first class on the Dutch liner "Veendam". She died in the town in 1976 aged 92. WILLIAM ROLAND MEADES was serving as a Private in the 10th(Service) Battalion, The King's Own Yorkshire Light Infantry when he died of his wounds in hospital on 10th July 1916. He was aged 36 and is buried in St Sever Cemetery in Rouen. He was the son of William and Ann Meades and brother of Mowbray, who died in 1918. He lived at 23, Distons Lane, Chipping Norton and worked as a domestic groom. He had previously served in the 5th Reserve Cavalry Regiment, he was transferred to the 6th (Service) Battalion, The King’s Own Yorkshire Light Infantry, joining them in France on 17th June 1915. On 30th July 1915, as part of the 14th (Light) Division they held the line near Hooge, 2miles outside Ypres, when they had the misfortune to be attacked by the Germans using flamethrowers for the first time. He then transferred to the 10th Battalion, as part of the 21st Division, took part in the opening phase of the Somme, the Battle of Albert, from 1st July 1916, during which Private Meades was wounded in action. RICHARD CECIL MOORE was serving as a Private in the 9th (Service) Battalion, The Royal Warwickshire Regiment when he was killed in action on 14th September 1918 during The Battle of Baku. He was aged 32 and is commemorated on the Tehran Monument, having no known grave. He was born in Northampton and moved to Chipping Norton in 1910, where he managed Eastman's butchers in Middle Row. He married Elsie Savage in the town in 1916. She re-married in the town in 1924. He was conscripted into the Royal Warwickshire Regiment in answer to the manpower shortage that had arisen at the end of 1917. He joined the 9th Battalion in Mesopotamia where as part of 39th Brigade they were fighting against the forces of the Ottoman Empire. In July 1918 the Brigade was ordered to Persia.There they joined Dunsterforce, an Allied military mission of under 1,000 allied troops accompanied by armoured cars, deployed from Hamadan some 350 km across Persia. It was named after its commander Major-General Lionel Dunsterville. Its mission was to gather information, train and command local forces, and prevent the spread of German propaganda. Later on, Dunsterville was told to take and protect the Baku oil fields in Armenia. The force was initially delayed by 3,000 Russian Bolshevik troops at Enzeli but then proceeded by ship to the port of Baku on the Caspian Sea. This was the primary target for the advancing Turkish forces and Dunsterforce endured a short, brutal siege on the 14th September 1918, in which Richard Moore was killed in action, before being forced to withdraw. "This Brigade, composed entirely of New Army Battalions, had covered itself with glory second to none in the annals of our best fighting regiments, . . . No one in Baku would argue that anything but these brave lads of the English Midland Brigade had kept the Turks out of the town so long." GEORGE MORRIS was serving as a Private with the 1st/4th Battalion, The Oxfordshire & Buckinghamshire Light Infantry when he died of wounds received on 17th June 1918. He was aged 23 and is buried in Montecchio Precalcino Cemetery in Italy. He born in Reading, one of nine children of parents Albert and Ellen Morris. He was living at 58, Rock Hill, Chipping Norton his family and working on a farm prior to service. He enlisted into the 4th Territorial Battalion of the Ox and Bucks in April 1914. He arrived in France with 1/4th on 30th May 1915. The Battalion saw action at the Somme and the Third Battle of Ypres before leaving for Italy in December 1917. He was wounded on 15th June 1918 during an attack by the Austrian army near Canove, on the first day of The Battle of Piave River. FREDERICK JAMES MOULDER was serving as a Private in the 2nd Battalion, Oxfordshire & Buckinghamshire Light Infantry when he was killed in action on 31st October 1914 during the First Battle of Ypres. He was aged 29 and is commemorated on the Ypres Menin Gate Memorial for soldiers with no known grave. He was the son of Henry and Susan Moulder of Over Norton, one of twelve children. He married Mary Benfield in 1910 and was living at 78 West Street, Chipping Norton with their young daughter Winifred, born in 1911, and worked as an assistant loom tuner. Mary, his widow, died at the young age of 35 in 1923. He and seven of his brothers played in The Chipping Norton Brass Band. On 14th August 1914, the 2nd Ox & Bucks arrived on the Western Front, as part of the 5th Infantry Brigade of the 2nd Division. The 2nd Division was one of the first divisions of the BEF to arrive in France. The Battalion took part in the first British battle of the war, at Mons on 23rd August. The Battalion subsequently took part in the 220 mile retreat, in exceptionally hot weather, not stopping until just on the outskirts of Paris, then halting the German advance at the First Battle of Marne, between the 5th and 9th September. The 2nd Ox and Bucks later took part in all the subsidiary battles of the First Battle of Ypres between 19th October and 22nd November that saw the heart ripped out of the old regular army, with 54,000 casualties being sustained. In the First Battle of Ypres the 2nd Ox and Bucks first engagement with the enemy was on 20 October in an attack on the Passchendaele ridge. The Battalion had heavy casualties: 4 officers killed and 5 wounded and 143 other ranks killed or wounded. GEORGE FREDERICK MURRELL was serving as a Private in the 31st Mobile Section of the Royal Army Veterinary Corps when he died from pneumonia, in No 9 casualty clearing station, on 4th September 1915. He was aged 41 and is buried in Lillers Communal Cemetery in France. He was born in Reading in 1874 but moved with his family to Wykeham Lane, near Banbury, where his father worked as a coachman. He married May Fowler in 1903 in Chipping Norton and had one son, James born in 1909. He worked as a groom and coachman at Over Norton Park along with William Knight, who also died in the war. At the time of his death his wife and son were living at Lidstone, near Enstone. The Royal Army Veterinary Corps was responsible for the medical care of animals used by the army, mostly horses, mules and pigeons. The 31st Mobile Section was attached to the 19th Western Division. George Murrell arrived in France with his division on the 20th July 1915. MOWBRAY NASON was a Private serving in the 2nd/4th Battalion, The Oxfordshire & Buckinghamshire Light Infantry when he was killed in action, during the German Spring Offensive on 21st March 1918. He was aged 36 and is commemorated on The Pozieres Memorial for soldiers with no known grave. He was the son of William and Alice Nason and lived at 22, Albion Street, Chipping Norton working as a leather pavior. On 18th/19th March 1918 the Battalion moved up to the front line between Griscourt and Fayet. A German Offensive was expected since the surrender of Russia had released thousands of men for duty on the Western Front. The men were working on improving trenches and wiring and sending out fighting patrols to gain intelligence from captured prisoners. At 0430 on 21st their positions were subjected to a heavy bombardment including gas shells. At 0900, under a heavy smoke barrage, the Germans attacked in overwhelming numbers and penetrating the front lines and inflicting heavy casualties, including Private Nason. WILFRED NASON was serving as a Private with 1st Battalion, The Duke of Edinburgh's Wiltshire Regiment when he was killed in action on 3rd August 1917 during the Third Battle of Ypres. He was aged 32 and is commemorated on The Ypres Menin Gate Memorial for those with no known grave. He was born in Chipping Norton in 1885 to parents John and Jane Nason of 19, The Leys and at 16 was working as an ironmongers assistant in the town. He married Edith Allen in Hampshire in 1912 and they lived in Eastleigh, having one son. He had enlisted in Southampton into the Hampshire Regiment. He was involved in the Battle of Pilckem, part of The Third Battle of Ypres, when his brigade relieved tired units on Bellewaarde Ridge. He was killed when the enemy shelled the ridge on 3rd August 1917. HAYLOCK ETHER OWEN served as a Private with the 8th King's Royal Irish Hussars when he was killed in action on 9th August 1918. He was aged 21 and is buried in the Rosieres Communal Cemetery. He was the son of Frederick and Louisa Owen and lived in Southcomb, Chipping Norton with his three sisters and had worked as a farm labourer before enlisting. The Hussars had seen action in the Battle of the Somme in 1916.They returned to the Somme area in March 1917 to clear the small pockets of machine guns left by the retreating Germans. They took part in what would be the Regiment's last mounted charge at Villers-Faucon when, supported by a howitzer battery and two armoured cars, attacked a heavily defended German positions. In March 1918 they were transferred to the 9th Cavalry Brigade, the 9th Cavalary Division. The Germans began to collapse soon after the allies began their final offensive in August, the 8th fighting at St Quentin and Beaurevoir. On 9th August 1918 they were in the French village of Caix. At 1100 they would ordered to follow the infantry up on an attack to retake Rosieres, captured in the Spring German Offensive in March. Private Owen was one of two men killed in the attack. BERNARD THOMAS PADLEY was serving as a Rifleman with the 21st Battalion, The Rifle Brigade when he died on 31st July 1916. He was aged 27 and he is buried in Kantara War Memorial Cemetery. He was the son, one of nine children, of John and Annie Padley of 30, Worcester Road, Chipping Norton, the son of John and Anne Padbury and worked as a spinner and a porter before the war. He had served for two and a half years with the Warwickshire Territorials before enlisting into the 9th Battalion, The King's Rifle Brigade on 26th August 1914 in Birmingham a but was discharged on 19th October 1914 having an overlapping toe which caused his feet to swell whilst marching. He tried again in Oxford and on 16th November 1914 and was embodied into the 4th (Reserve) Battalion, The Oxfordshire & Buckinghamshire Light Infantry. On the 25th September 1915 he was transferred as a Rifleman to the 21st Midland Battalion, The Rifle Brigade. The Battalion embarked at Devonport on 30th December 1915 and disembarked at Alexandria on 14th January 1916 to join the Egyptian Expeditionary Force. On the 31st July 1916 he was part of D Company escorting No 3 armoured train when he accidentally drowned whilst bathing in an allotted bathing place in a canal. A Court of Enquiry was held and statements read from the four men bathing with him. They all said he threw up his arms and sunk into the water without a cry before they could reach him, and that he was a strong swimmer. His body was recovered from the canal later. MARTIN GUY PEARSON was serving as a Lance-Corporal with 5th (Service) Battalion, The Oxfordshire & Buckinghamshire Light Infantry when he was killed in action on 3rd May 1917. He was aged 26 and is commemorated on the Arras Memorial for soldiers with no known grave. He was the son of Martin Knight Pearson and his wife Elizabeth of 15, The Leys Chipping Norton. Martin was educated at King's College, Taunton where he was a member of the OTC. He was employed as a bank clerk in the Metropolitan bank in Stratford-upon-Avon. He joined the 4th(Territorial) Battalion Oxfordshire and Buckinghamshire Light Infantry on the 9th January 1913. He was mobilized on 4th August 1914 and served with the British Expeditionary Force in France and Flanders from 23th April 1915 being appointed acting Corporal on 23rd January 1916. He was wounded at the Battle of Hebuterne on 8th February 1916 and invalided home, recuperating in Ballyronan, Ireland. He returned to France on the 1st April 1917 as a Lance-Corporal with 5th Battalion, The Ox & Bucks. He was reported wounded and missing after the Battle of Fresnoy-Bullecourt near Monchy on the 3rd May 1917 and later assumed killed in action on that date. He had been shot in the thigh whilst jumping into an enemy trench leading his platoon. He was last seen on the battlefield some hours later with his leg blown off and bleeding badly, crawling towards the British trenches. JOSEPH EDWARD PINFOLD was serving as a Private with the 1st/4th Battalion, The Oxfordshire & Buckingham Light Infantry when he died of wounds, received during the Battle of the Somme, in the 2nd London General Hospital in Chelsea on 29th November 1916. He was aged 36 and is buried in Hook Norton Cemetery. He was the son, one of six children, of George and Ann Pinfold of 2, Priory Farm, Over Norton. The family moved to Hook Norton and in 1911 he was living there with his widowed mother and working for the brewery. He is not on the town or Over Norton memorials but is commemorated in Hook Norton church. REGINALD LESLIE PINK was serving as a Lance Corporal in 2/4th Battalion, The Oxfordshire & Buckingham Light Infantry when he was killed in action on 29th June 1916. He was aged 18 and is buried in Laventie Military Cemetery in Northern France. He was the son of Francis and Alice Pink of 5, Blenheim Terrace, Chipping Norton. The 2/4 Battalion arrived in France on 24th May 1916 and were based at Laventie. I expect you have by now received notice from the War Office about your son Reg and I am just writing to say how very sorry I am, and how I feel for you and Mr Pink. Will you please both accept my sincere sympathy. I am a signalling officer, and in this have seen a good deal of your son for the last eighteen months, and I can say most truthfully- he was one of my best signallers, very keen, intelligent and as a NCO very smart and he showed promise of steady rising into the ranks as time passed. I have always been pleased with the way he has looked after the men and things in general for me, and he always did his best so far as I could see- and what more can a man do? As for his character- and it is that I think that is most important and which is the one thing that really counts:- your son was always so cheery, and his bright face was noticed by everyone, our present Adjutant was only talking of this today when his name was mentioned. It is real rough luck, Mrs Pink, but he died as most of us would, I think wish to die- doing his duty. What more can a man do? I had given him a message to take to our signalling lamp station and telephone dug-out, and he went off with another signaller from the trench we were standing. There was a bit of a "row on", and on his way he was struck by a bullet which came over the parapet- another officer attended to him, ( I knew nothing till it was all over), but he died in a few minutes. I am so sorry to lose him- but it all must be for the best. Please accept my sympathy in your terrible loss. He was buried this afternoon in a cemetery in the town, just behind the lines and I will try to get some little memorial or flowers put on the grave- is there anything I can do for you? I regret to have to inform you that your, son Lance Corporal Pink, was killed in action about 10 o'clock last night. Although your son was only in my company a short time before he joined the signallers he has always been on our company strength. Lt Marcon has on every possible occasion detailed him to work the signal office of this company during our training period. He was always most efficient and absolutely reliable as a soldier, signaller and friend, always cheerful under trying circumstances. The man of the signallers and of the company had learned to respect him and valued him at his true worth. Recently he had been attached to Headquarters and was working with the CO when he met his death, an appointment he had received on account of his efficiency. Officers, NCOs and men of this company wish me to say how much they sympathise with you and Mr Pink in the loss of such a worthy son and soldier, for we all realise that we too have lost a friend and comrade who has given up his life as a soldier whilst taking part in an action which will be remembered in the history of this Regiment. JOHN HENRY RANDALL was serving as a Private with the 1st Battalion, The Somerset Light Infantry when he died of wounds received during the German Spring Offensive of 1918, on 6th May 1918. He was aged 19 and is buried in Lapugnoy Military Cemetery in the Pas de Calais. He was the son of Archibald and Annie Randall of The Leys, Chipping Norton. CHARLES EDWARD RANDLE was serving as a Private with 1st Battalion, The Royal Warwickshire Regiment when he died of wounds received during the German Spring Offensive of 1918, on 16th April 1918. He was aged 34 and is buried in Lapugnoy Cemetery in the Pas de Calais region. He was the son of Alfred Randle of Burford Terrace, Chipping Norton and married Emmeline Withers in 1907. They lived at 1 Churchill Road, Chipping Norton and he worked as a yarn spinner at the tweed mills. At the time of his enlistment he was living near in Chilvers Coton, Nuneaton, Warwickshire. LEWIS RHYMES was serving as a Private with the 1st Battalion, The Gloucester Regiment when he died of his wounds on 25th December 1914. He was aged 29 and is buried in Boulogne Eastern Cemetery. He was the son of Edwin and Eliza Rhymes of Lodge Cottages, Sarsden. He worked as farm labourer and then for Chipping Norton Gas company. He became a professional soldier with The Gloucesters in 1904, leaving to become a police constable in the Oxfordshire Constabulary on 23rd August 1911, but remaining on the reserve. He married Ellen Sale of 5, Alexandra Square, Chipping Norton in April 1914 before being recalled to his Regiment on 4th August 1914. The 1st Battalion, The Glosters landed in Le Havre on 14th August 1914 and took part in the Battle of Mons and The 1st Battle of Ypres, in which Lewis Rhymes was wounded. He died in the 13th General Hospital in Boulogne. His son, Edwin Lewis Rhymes, was born after his father's death, in 1915. Ellen Rhymes remarried in the town in 1919 and died in Brighton aged 70. ERNEST SANDLES was serving as a Private in the 7th(Service) Battalion, The Queen's Royal West Surrey Regiment when he was killed in action on 10th August 1917, during the Third Battle of Ypres. He was aged 19 and is commemorated on the Menin Gate Memorial for soldiers with no known grave. He was the youngest son, one of six children of George and Sarah Ann Sandles of Over Norton. The 7th Battalion was formed in Guildford in September 1914, one of Kitchener's New Armies. They took part in many phases of the Battle of the Somme from 1st July 1916. In 1917 they were involved in operations around Ancre and then cautiously pursued the Germans as they retreated to the Hindenburg Line. On 9th August the Battalion was based in the Belgium village of Hooge as part of the 18th(Eastern) Division who were tasked with taking Glencorse Wood. The assault began at around 0500 on 10th, with the 7th's objective being Inverness Copse. They advanced after an artillery barrage to find there were loose wires in front of objective which remained uncut. Behind this the Germans had strongly defended shell holes which had also been left untouched by the barrage. The Battalion eventually took the copse but with casualties of 280, including Private Sandles. The Germans counter attacked later that day, isolating the 18th Division and retaking most of the wood. He is also remembered on the Over Norton war memorial. GEORGE ALBERT SAUNDERS was serving as a Private in the 3rd Battalion, The Coldstream Guards when he died of his wounds, received during the Third Battle of Ypres, on 15th September 1917 aged 19. He is buried in Mendinghem Military Cemetery in Belgium. He was the son of Albert Edward and Elizabeth Saunders, of the Post Office, Over Norton. He joined the 3rd Coldstream Guards in France where they were part of the 4th Guards Brigade in the 2nd Division. In March 1917 the took part in the cautious pursuit of the Germans as they made their strategic withdrawal from the old Somme battlefields to pre-prepared defences on the Hindenburg Line. The Germans carried out a "scorched earth" policy destroying everything in their path. They then took part in the Arras Offensive in April of that year. At the beginning of September the Battalion moved into front line trenches near the town of Elverdinghe, north east of Ypres. On the night of the 10th September the Germans raided their trenches and Private Saunders was wounded in the attack and died two days later in hospital. WILLIAM SCOTT was serving as a Private in the 258th Protection Company, The Royal Defence Corps when he died on 8th February 1917. He was aged 44 and is buried in Chipping Norton Cemetery. He was born in Liverpool and in 1873 had come to Chipping Norton to work as a blacksmith, living in lodgings in Middle Row. He married Ellen Hurcomb in the town the following year. They had four children between 1892 and 1902 and first living with her parents in 5, Alfred Terrace, and then their own house at 11, Spring Place. In September 1914 he joined the 4th Territorial Battalion of The Oxfordshire & Buckinghamshire Light Infantry, transferring to the RDC. The role of the corps was to provide troops for security and guard duties inside the UK, guarding important locations such as ports or bridges. It also provided independent companies for guarding prisoner-of-war-camps. The corps was never intended to be employed on overseas service. He was serving at Southampton Docks when he died suddenly of heart failure brought on he valvular heart disease. Ellen Scott died in 1944 aged 76. CHARLES DAVID SCOTT MACKIRDY was serving as a Lieutenant with the 11th (Prince Albert's Own) Hussars when he died of wounds received, during the Battle of Albert, while a prisoner of war on 23rd March 1918. He was 23 and is commemorated on the Pozieres Memorial for soldiers with no known grave. He was the son of William Augustus Scott Mackirdy and Lucy Scott of Birkwood, Lanarkshire, and was the brother of Mrs Susan Chamberlayne of The Elm, Church Lane, Chipping Norton and before the war was an undergraduate at Exeter College, Oxford. He arrived in France on 18th October 1915 to join the 11th Hussars as part of the 1st Cavalry Division. They took part in The Battle of Flers-Courcelette, between 15th and 22nd September 1916, an action of The Somme. In 1917 they fought during the Arras offensive and operations at Cambrai. In March 1918 they were in support in the Somme area. An assault by the Germans was expected after the release of thousands of troops from the Eastern Front after the surrender of the Russians. On 21st March while based at Montecourt they were subject to heavy shelling, and moved up to the front line near Vermand to face the impending attack. At 1000 on 22nd their positions were subject to heavy bombardment followed by an attack all along the front line, which was repulsed. The Hussars clung onto their positions despite intense shelling but at 1140 some 2,000 Germans were seen advancing on Vermand and they were ordered to fall back. Lieutenant Scot Mackirdy was missing in action, later found to have been wounded and taken prisoner. He is also commemorated on the St Silas Church war memorial in Glasgow and the Lesmahagow war memorial in Lanarkshire. GEORGE ALEXANDER TOLLETT served as a Rifleman with "A" Company, the 13th Battalion, The Prince Consorts Own, The Rifle Brigade when he was killed in action during The Arras offensive on 23rd April 1917. He was aged 27 and is commemorated on the Arras Memorial for soldiers with no known grave. He was the son of William and Elizabeth Tollett of Rock Hill, Chipping Norton. His father died in 1895 and the family moved to 7, Victoria Place, Market Street. Before the war he worked as a printer. He enlisted into the 2nd Battalion, The King's Royal Rifle Brigade as a Rifleman in early 1916 and was involved in several phases of the Somme Offensive including the Battle of Albert, the opening action from 1st July 1916. At some stage after he was transferred to the 13th Battalion of the Rifle Brigade joining “A” Company. On 9th April 1917 his Battalion went into action in the First Battle of the Scarpe, the opening offensive of the Arras Offensive. They successfully captured the village of Monchy-Le-Preux. On 23rd April the offensive was renewed in the Second Battle of the Scarpe. They achieved all their objectives that day but Rifleman Tollett was reported missing in action, later presumed dead. He had previously served with The Kings Royal Rifle Corps. GEORGE SHELLEY was serving as a Private with the 10th Battalion, The Royal Warwickshire Regiment when he was killed in action on 19th April 1918. He was aged 23 and is commemorated on the Tyne Cot memorial for soldiers with no known grave. He was born in Chipping Norton in 1895 to parents Albert and Annie Shelley of Burford Road. He moved with his family to Witton, Birmingham just before the turn of century, where he worked as a brewers bottler. His four brothers all served in the Royal Field Artillery. He is not on the town's war memorials. FRANK SHEPARD was serving as a Private in 1st/4th Battalion, The King's Own Scottish Borderers when he was killed in action during an attack on the Hindenburg Line, Canal du Nord in France on 20th September 1918. He was aged 36 and is commemorated on the Vis-en-Artois Memorial, Pas-de Calais for soldiers with no known grave. He was the son of William and Mary Shepard of 1, Gloucester Villas, Worcester Road, Chipping Norton. He was the husband of Mary Alice Shepard, of 47, Storey Square, Barrow-in-Furness. He had worked as a warehouseman at Bliss Mill before moving to the company's mill in Newcastle. WILLIAM THOMAS SHEPARD was serving as a Private in the 646th Agricultural Company, The Labour Corps when he died on 16th February 1919. He was aged 28 and is buried in Chipping Norton cemetery. He was the son of John and Emma Shepard of 36, Rock Hill, Chipping Norton and had worked as a drayman at Hitchman's brewery. He had previously served with The Oxfordshire & Buckinghamshire Light Infantry on the home front. He died in the 3rd South General Hospital in Oxford of pneumonia and exhaustion. JOHN ALEXANDER SHERRETT was serving as a Lance-Corporal with "B" Company, the 2nd Battalion, The Wellington Regiment when he was killed in action on 14th September 1916, during The Battle of the Somme. He was aged 25 and is buried in Flatiron Copse Cemetery in the Somme. He was the son of James and Mary Sherrett of 25, High Street Chipping Norton, where his father ran a tailors and outfitters shop. He was working as a motorcycle tester and was a member of the Norton Defence Rifle Club. 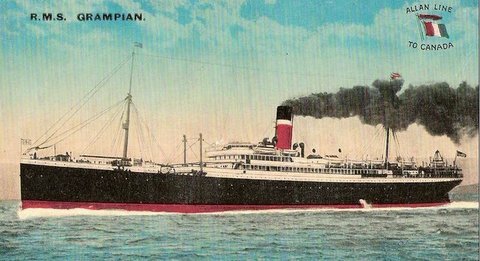 On 13th February 1913 he embarked on the Orient Line's SS Orama in London, bound for Sydney. His final destination was New Zealand where hoped to be a farmer, although when he enlisted he was working as a chauffeur for Mr E Newman MP. He enlisted into the Wellington Regiment on 19th October 1915, and promoted to Corporal the following month. On 8th January 1916, he embarked on the troopship Maunganui sailing from Wellington to Suez, Egypt as part of 9th Reinforcements Wellington Infantry of the New Zealand Expeditionary Force. He joined the 2nd Battalion on 19th March 1916, reverting to the ranks. On 8th April they embarked on the Troopship Llandovery Castle, below, bound for France. He was appointed Lance Corporal in August 1916. On 2nd September 1916 the Battalion left its billets and marched to the Somme. They took up positions in Check and Carlton front line trenches near Fricourt preparing for an attack on German lines. Lance-Corporal Sherret was killed by a German shell that hit his trench position on 14th September 1916. TOM TRACE was serving as a Private in the 2nd Battalion, Oxfordshire & Buckinghamshire Light Infantry when he was killed in action on 30th July 1916, during the Battle of the Somme. He was aged 19 and is commemorated on the Thiepval Memorial, for soldiers with no known grave. He was the son of Thomas and Ruth Trace of Over Norton, having been born at Showell Farm outside Chipping Norton. Tom Trace arrived in France to join the 2nd Ox & Bucks on 17th December 1915 to reinforce the Battalion after the engagements of 1914 and 1915 that had ripped the heart out of the old regular army. On 29th July 1916 they moved up to the front line, relieving the 2nd Battalion, The Highland Light Infantry, to prepare to attack German positions in Delville Wood. The 2nd Battalion were involved in the bloody battle for Delville Wood, a thick tangle of trees, with dense hazel thickets, intersected by grassy rides, to the east of Longueval, on the Somme. As part of a general offensive starting on 14th July, General Douglas Haig, Commander of the British Expeditionary Force, intended to capture the German second position between Delville Wood and Bazentin le Petit. The attack achieved this objective and was a considerable though costly success. British attacks and German counter-attacks on the wood continued for the next seven weeks. On 30th July 1916 at 0445 they attacked German positions but were beaten back by heavy machine gun fire and took the Battalion took heavy casualties of 217 killed, missing or wounded, including Private Tom Trace. HERBERT RUTTER SIMMS was serving as a Lieutenant with No 1 Wing, the Royal Naval Air Service when he was killed action on 5th May 1916, when his aircraft was shot down. He was aged 24 and is buried in Chipping Norton Cemetery. HARRY LINDUS SIMS was serving as a Private in the 2nd Battalion, The Border Regiment when he was killed in action on 26th October 1917 during the Third Battle of Ypres. He was aged 29 and is commemorated on the Tyne Cot memorial for those with no known grave. Harry Lindus Sims was born in October 1889 in Shipston on Stour, the son of Harry and Annie Sims and the eldest of 10 children. The family moved to 11, Market Street, Chipping Norton, where his father ran a fishmongers. In August 1910 he married Kate Shadbolt in St Mary’s, Chipping Norton. They lived at 7, Horsefair, Chipping Norton where he managed the family fishmongers. They had three children, Irene born 1911, John in 1913 and Ronald in 1916. He enlisted in Chipping Norton originally serving in the Royal Ordnance Corps before being posted to France and joining "C" Company the 2nd Battalion. The Border Regiment in the field. As part of the 7th Division the Battalion took part in the Second Battle of Passchendaele, part of the Third Battle of Ypres, starting on 26th October 1917. They were charged with capturing and holding a line in the Flanders village of Gheluvelt. The attack started at 0540 behind a creeping barrage, over very muddy ground. "C" Company got stuck in waist deep mud and were almost entirely wiped out by machine gun fire. 11 of the Battalion were killed, but 127 were reported missing, lost in the deep mud, including Private Sims, who was presumed to have died on 26th October 1917 . He was aged 29 and is commemorated on the Tyne Cot memorial for those with no known grave. Kate Sims remarried in 1921 and died in 1972 aged 83. ARTHUR GEORGE TOWNSEND was serving as a Rifleman with the 6th Battalion, The Rifle Brigade, attached to 1/8th (City of London) Battalion (Post Office Rifles) London Regiment when he was killed in action on 31st August 1918. He was aged 28 and is buried in Hem Farm Cemetery in the Somme Region. He was the son of George and Rose Townsend of Albion Street, Chipping Norton. He had previously been working as a hairdresser's assistant for his Uncle in Knutsford, Cheshire. In April 1913 he married Margaret Howard in Easthampstead, Berkshire. He had previously served with The Royal Flying Corps, being transferred to the Rifle Brigade on 31st March 1918 after troops had been depleted by fighting in the German Spring Offensive. He was attached to the 1/8 London Regiment and saw action defending Amiens from several German onslaughts in the First Battles of the Somme from 4th April 1918. After the German Offensive had been halted the Allies went on the offensive in the Battle of Amiens. The Battalion as part of the 58th Division, attacking without the usual artillery barrage, which would have alerted the Germans, Armoured cars and tanks were used to push through the wire and take on the strongholds. The attack was a success, by the end of the day, there was a break in the German lines of almost 15 miles and 12,000 German soldiers had become Prisoners of War. There were heavy casualties on both sides. The advance continued with the Battle of Albert on 22nd August. Private Townsend was killed in action on the first day of the Battle of Baupaume. ERNEST WATTS was serving as a Corporal in the 14th (Service) Battalion (The Severn Valley Pioneers), The Worcestershire Regiment when he died of his wounds on 17th August 1916. He was aged 27 and is buried in Barlin Communal Cemetery extension. He was born in Goring on Thames, one of 8 children, and in 1910 married Chipping Norton girl Sarah Jane Cook in the town, and they had three sons together. At the time of his enlistment the family were living in Leafield but after Sarah moved to 12, Distons Lane, Chipping Norton where she stayed after her husband's death, and died in the town aged 92 in 1981. In 1914-15 the protracted trench-warfare in France and Flanders had resulted in an ever-increasing demand for skilled labour to supplement the work of the Sappers in the construction of redoubts, emplacements and other field works. It was decided to form special “ Pioneer” battalions to meet that demand. The new units were designed as fully equipped battalions, skilled in constructive work but equally capable of fighting in the fore-front of battle. To indicate their combatant status it was decided that those new “ Pioneer” battalions should be designated as numbered battalions of various regiments of the Line. 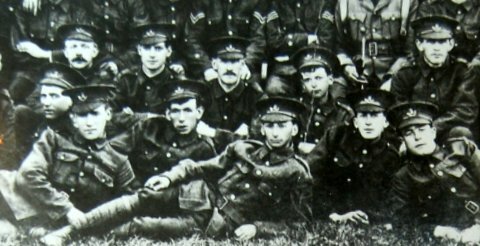 The 14th (Service) Battalion (Severn Valley Pioneers) formed at Worcester on 10th September 1915 by Lieut-Col. H. Webb, MP and adopted by War Office in March 1916. It moved to Larkhill and Codford on Salisbury Plain for training and landed at Le Havre on 21st June 1916 and came under orders of 63rd (Royal Naval) Division. On the 24th June 1916 the 14th Worcestershire marched forward towards the line, and that evening settled into bivouac in the Bois de la Haie, south of the great ridge of Notre-Dame-de-Lorette. The Battalion was destined to remain in that neighbourhood throughout the ensuing three months working on the surrounding defences. Working parties were under constant fire, and Ernest Watts was mortally wounded there, dying in hospital in Barlin. Ernest Watts is commemorated on the Leafield war memorial and church lynch gate, but not on the town memorial. ARTHUR WEARING was serving as a Gunner in "A" Battery, The 92nd Brigade, The Royal Field Artillery when he was killed in action during the Battle of Cambrai on 30th November 1917. He was aged 38 and is commemorated on the Cambrai Memorial for soldiers with no known grave. He was born in Enstone to parents Henry and Mary. In 1902 he married to Emily Hurcomb, sister-in-law of William Scott (above). They had four children between 1904 and 1910 and lived at Old Chalford, Chalford Oaks, Chipping Norton where he worked as a general labourer. Emily Wearing died in 1955 aged 79. He is also commemorated on a plaque in St Kenhelm Church, Enstone. SAMUEL JAMES WEBB was serving as a Sergeant with the 25th Garrison/Service Battalion, The Middlesex Regiment when he died from dysentery on 13th September 1918 in Siberia. He was aged 42 and is buried in Churkin Naval Cemetery in Vladivostok, but his grave site was lost and he is now commemorated on the Vladivostok Memorial. He was the son of Thomas and Eliza Webb of Over Norton. In December 1891, giving his age as 18 years and 9 months, he enlisted into the Coldstream Guards in London, although he was only still 16. His Army records from therein show him being 2 years older than he actually was. In 1894 he contracted syphilis whilst serving in Dublin, and also suffered a kick in the lips during an inter-regimental fight which failed to heal properly. Despite being hospitalized on several occasions he was accepted for a further 12 years service in October 1898. However early in the following year he suffered a severe relapse and was eventually discharged as medically unfit on 18th April 1900. He moved to 2, Kings Yard, Chipping Norton, working as a journeyman tailor and married Rosa Stayt in December 1900. They had three children together between 1902 and 1906 and moved to Church Lane, Bledington. In September 1914, at the age of 39, he enlisted into the Army reserve and was promoted through the non-commissioned ranks to acting sergeant, serving in for 289 days with the 2nd Battalion, The Oxfordshire & Buckinghamshire Light Infantry on the home front. In May, 1915 he was hospitalized once more by his previous ailments, suffering from enlarged lower legs and a swollen tongue, amongst others. He refused anti-syphilitic treatment and was discharged as permanently unfit, on 18th June 1915. Despite this he travelled to Belsize Park in Middlesex and was accepted into the Middlesex Regiment. The Battalion sailed from Devonport on 22nd December 1916 and arrived in Hong Kong on 1st April 1917 with two companies going to Singapore. They reassembled as a battalion and landed at Vladivostok on 3rd August 1918. He is commemorated on the Over Norton and Bledington war memorials but not on the town memorial. ALBERT HENRY WHITE was serving as a Lance-Corporal with the 2/4th Battalion the Oxfordshire & Buckinghamshire Light Infantry when he died of wounds received on 2nd March 1917 aged 18. He is buried in Bray cemetery in the Somme region. He was one of six children of Henry and Sarah White of 24, Worcester Road, Chipping Norton. He had joined the 4th (Reserve Battalion), The Oxfordshire & Buckinghamshire Light Infantry in March 1914 underage at 15. The 4th were amalgamated into the 2/4th and arrived in France on 24th May 1916. Albert was too young to be serving in France as soldiers were not allowed to serve overseas until they were 19, and this was not changed to 18 years and 6 months until 1918. The Battalion had been operating in The Somme area, when on 23rd February 1917 they relieved The Berkshire Regiment in the Ablaincourt sector. On the morning of the 27th German Howitzer batteries began shelling the sector. The following afternoon the Germans opened up again with trench mortars, rifle grenades with heavy artillery and gas shells pounding the support trenches and HQs behind the lines. It was a clear moonlight light when the German raiding party attacked the trench line held by C company, lobbing grenades into the company HQ, inflicting casualties and taking prisoners, including Private Conrad Titcomb see: soldiers-of-the-first-world-war.php. Albert White was wounded in the raid and died in a casualty clearing station on 2nd March. Thirteen other members of the battalion died in the raid, twelve of which have no known grave. GEORGE HENRY WHITE was serving as a Private with The 5th(Service) Battalion, the Oxfordshire & Buckinghamshire Light Infantry when he was killed in action on 3rd May 1917, during the Battle of Fresnoy-Bullecourt. He was aged 30 and is commemorated on the Arras Memorial for soldiers with no known grave. He was born in Over Norton, then moved to Adderbury where his father was the landlord of The Plough Inn. In 1905 he married Emma Timms in Deddington and lived at The Bank, Hempton and worked as a farm labourer. He had two daughters Elsie and Florence. He had previously served with the Canadian Army. He is commemorated on the Over Norton and Deddington war memorials but not on the town memorial. HARRY WHITEHEAD was serving as an Air Mechanic 2nd Class with The Royal Flying Corps at The School of Technical Training in Reading when he died on 14th January 1918 in Liverpool. He was aged 33 and is buried in Eastbourne Ocklynge Cemetery. He was the son of Joseph and Anne Whitehead of Rock Hill, Chipping Norton. He married Myram Maple Stroud in 1908 in Eastbourne and lived there with their young daughter Ethel and worked as a printer. He attested on 9th December 1915 and joined the RFC on 21st August 1916 at outh Farnborough. He suffered from bad health including bronchitis and epididymitis and was discharged on 10th January 1918 with crippling rheumatisim. He is commemorated on the Eastbourne War memorial but not on the town memorial. ARTHUR THOMAS WITHERS was serving as a Lance-Bombadier in the 351st Siege Battery, The Royal Garrison Artillery when he died of wounds received on the 11th April 1918. He was aged 24 and is buried in Lijssenthoek Military Cemetery in Belgium. He was born in 1894, the son of Arthur and Jane Withers and lived in Little Rollright, where his father worked as a groom. By 1911 he was living at 4, Worcester Road Chipping Norton, with his parents and four sisters and four younger brothers, working as as a mill hand at Bliss Mill. In that same year, aged 17, he enlisted in the 4th Battalion (Territorials) Oxfordshire & Buckinghamshire Light Infantry. This was a popular among many young men at the time, giving an extra income and the chance of adventure away from their normal lives. He attended two week summer camps at West Lulworth in Dorset, Bustard Camp on Salisbury Plain and Shorncliffe In Kent from 1911 to 1913. In 1913 he married Gertrude Longshaw in the town and had a son, Harold, born later that year. On the 4th August 1914, the day Great Britain entered the war, he was embodied into the regular army and promoted to Lance Corporal. On 20th September 1914 he signed an agreement to serve outside the United Kingdom, which Territorial soldiers were not obliged to do. He was posted to France with his Battalion, now known as the 1/4th, landing at Boulogne on the 30th March 1915. He was made acting Corporal in February 1916. His time on the front line was dogged by illness, being hospitalized with German measles in May 1915 and influenza and fever at the end of March 1916. After his 5 years service was up he declined to re-engage and returned home for discharge on 30th April 1916. He did however return to the front, serving as a Lance-Bombardier with the Royal Garrison Artillery, joining the 351st siege battery at the front in November 1917. Siege Batteries of the Royal Garrison Artillery were equipped with heavy howitzers, sending large calibre high explosive shells in high trajectory, plunging fire.The usual armaments were 6 inch, 8 inch and 9.2 inch howitzers, although some had huge railway- or road-mounted 12 inch howitzers. As British artillery tactics developed, the Siege Batteries were most often employed in destroying or neutralising the enemy artillery, as well as putting destructive fire down on strong points, dumps, store, roads and railways behind enemy lines. I very much regret to inform you that your husband was wounded this morning. Although hit in several places, the leg, arm and hand, I do not think you have any fear as to his ultimate recovery. I hope it may be some comfort to you to know that I prized Bombardier Withers as quite one of the best of my NCO’s and am genuinely sorry to lose him. Ever since he joined us in November I believe he has always given the greatest satisfaction. It must also be a great consolation that your husband is for a time at any rate not of this inferno, and I think can safely say he will be sent home to England. I should be very glad to hear of his progress. I remain, yours sincerely HH Davidson, Lieutenant RGA. PS I omitted to mention that Bombardier Withers was hit by shell splinters while fighting his gun in a rather bad strafe. I am very sorry to have to tell you that your husband Bombardier A T Withers was brought to this hospital with many severe wounds on April 9th. He had lost much blood and to improve the chances of his recovery, blood from another soldier was transfused into him, but even this in the end proved of no avail, and although he seemed to revive for a time he passed away yesterday. I spoke to him several times and also prayed with him. He was interested to know that I was familiar with your town and beautiful church. He asked me to send his love to you and to tell you not to worry. I was with him some time and had a nice chat with him, only a few minutes before he died. He was sitting up in bed and seemed a little stronger. He asked me to help him lie down and I believe he passed away a very short while after. He was very patient and brave and did not suffer great pain. I know you will carry out his wishes as well as you can and bravely carry on without worrying and look forward with the hope of seeing him again. I enclose a photograph of our cemetery where we laid him yesterday and also a cross which I gave him and which he held in his hand as we prayed together, and after kissing it he asked me to send to you. I also send a little lock of his hair which I am sure you will value. PS I think you would like to know the name of the man who gave a quart of blood to your husband, although his sacrifice proved of no avail. Bombardier Anscombe, Elms Farm, Isfield Lewes. It would be kind of you to write and thank him. I was very sorry indeed when I heard, two days ago, of the death of your husband. As his section officer I had always found him the most able and cheerful of our NCOs and was more sorry than I can tell you when he was wounded. The battery was being heavily shelled at the time and it was largely due to his pluck and endurance his gun kept firing. He was quite conscious when he was taken away and seemed quite cheerful. I do not think he was in much pain. We had all hoped he would recover and reform with us again and were more sorry that he died. All ranks of 351 siege battery offer you their heartfelt sympathies and sincerely hope you will be helped to bear your great loss. I remain, your sincerely E N Elford 2nd Lieutenant RGA. I cannot say how shocked and grieved I was to hear by your letter that your husband had passed away. As I have been away from the battery for several days, this was the first intimation I have received. Please accept my deepest sympathy and I pray God may give you strength to bear the blow. I hope also you may derive some comfort from the thought that your husband has given his life in one of the most sacred causes in the world’s history. Such noble sacrifices are not without their reward. We all miss him very much and fully realise how great the loss must be to you. With remembered expression of condolence. I remain your sincerely, HH Davidson Lieutenant RGA. His second son, Raymond, had been born the month before he died. Gertrude Withers remarried in 1926. FRED WILLIAM WITHERS was serving as a Private in 1/1st (City of London) Battalion (Royal Fusiliers), attached to the 11th(Service) Battalion, The Royal Fusiliers when he was killed in action during the Third Battle of Ypres on 10th August 1917. He was aged 31 and is commemorated on the Menin Gate Memorial for soldiers with no known grave. He was the son of William and Amy Withers of 6, Portland Place, Chipping Norton. He married Sarah Jane Bosworth in Market Bosworth in 1910. He lived at 59 Spring Street, Chipping Norton, working as a Hotel Groom before moving to Nuneaton. He had enlisted into the Essex Regiment in Nuneaton, before joining the 1/1sts. August 1917 found him attached to the 11th Royal Fusiliers, and on 9th they moved up into battle positions as part of the 54th Brigade in the 18th(Eastern) Division. Its task was to recapture Westhoek taken by the Germans some three days earlier. At 0435 the Battalion attacked Westhoek Bridge and quickly achieved their objectives. However a strong German counter attack forced them back and by 1900 they were back where they started. Out of a compliment of 928, the Battalion suffered 345 casualties, wounded, killed or missing, including Private Withers who was reported missing in action. JOHN WRIGHT was serving as a Gunner with "A" battery, 69th Brigade, The Royal Field Artillery when he died in hospital on 20th May 1916, after attempts to relieve the siege of Kut in Mesopotamia. He was aged 31 and is buried in Amara Cemetery in modern day Iraq. He was the son of John and Clara Wright of Spring Street, Chipping Norton. He left home at 16 and was working as a footman at Bruern Abbey and by 1911 was a butler at a house in Westbury on Trym. He was married to Sarah Wright of Halbatch, Farm, Marden, Herefordshire. He was with the 69th Brigade as part of the 13th Western Division when they sailed from Avonmouth on 24th June 1915, arriving at Alexandria, Egypt on 6th July as part of the reinforcements for the Gallipoli campaign. They landed at Anzac between 15th and 19th July and went into action in the attack on the Sari Bair ridge on 21st August, A Battery coming under the temporary command of the 1st Australian Division. The brigade evacuated Gallipoli on 19th December and reassembled at Alexandria on 31st December 1915. The division was now ordered to join Indian Expeditionary Force 'D' for operations in Mesopotamia. It left Alexandria on 18th February 1916 and arrived at Basra on 7th March. The brigade then proceeded up river and arrived at Ora on 4th April 1916 to take part in efforts to relieve the Siege of Kut. Some of the information and many of the photographs on this page come from the Book of Remembrance in Chipping Norton Museum which was collected by Josephine Madge Byford (9th December 1919 to 9th February 1995).